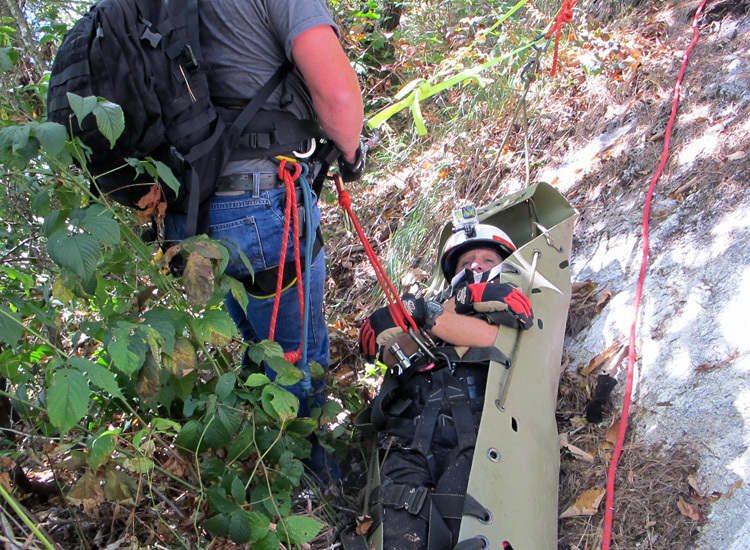 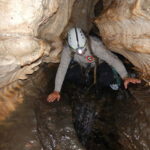 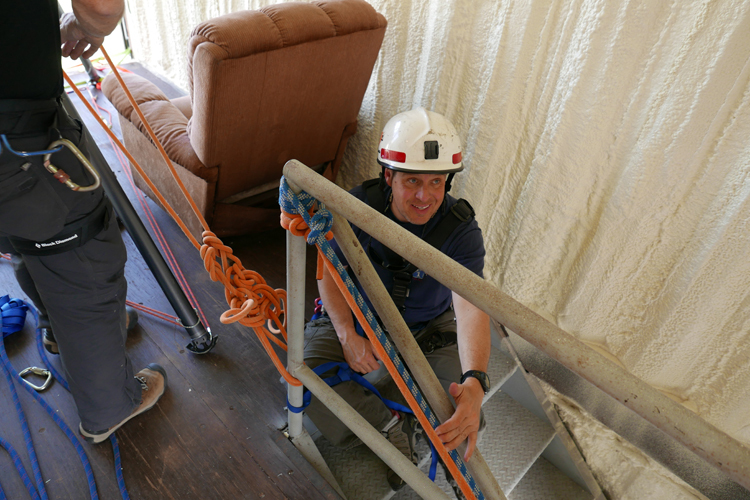 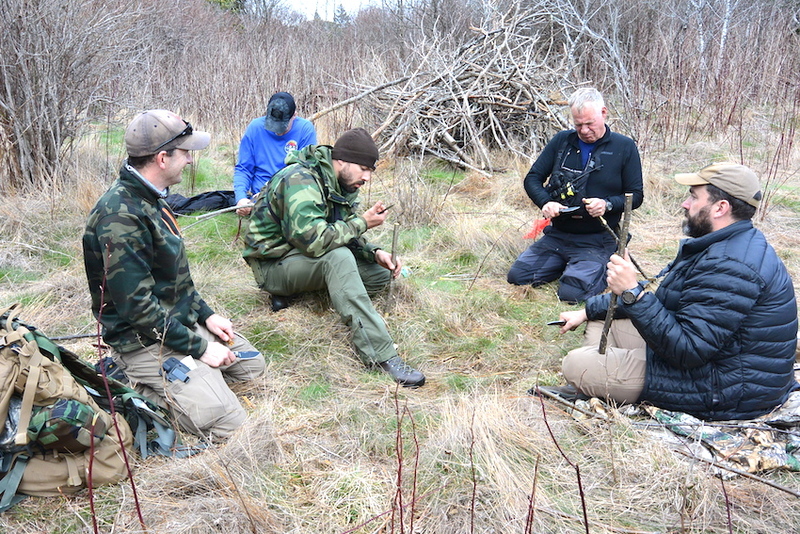 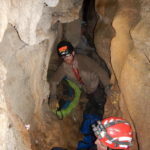 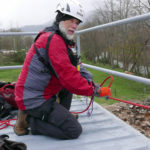 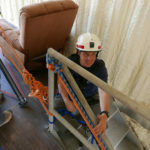 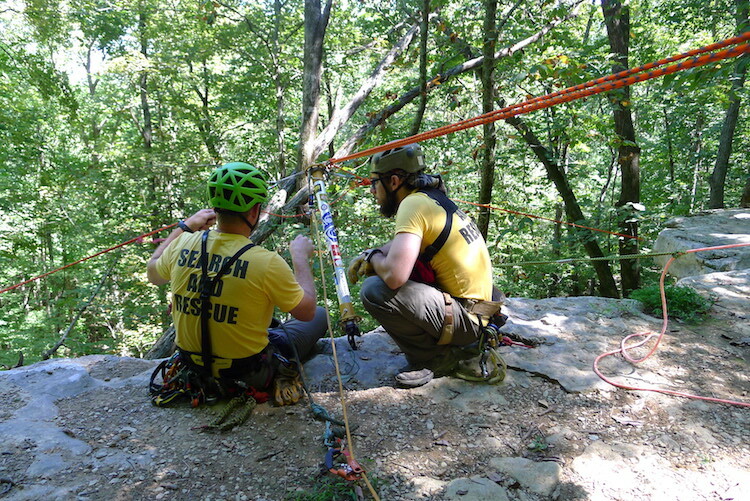 Members of the RAT-SAR team spent the weekend practicing skills and working rescue scenarios. 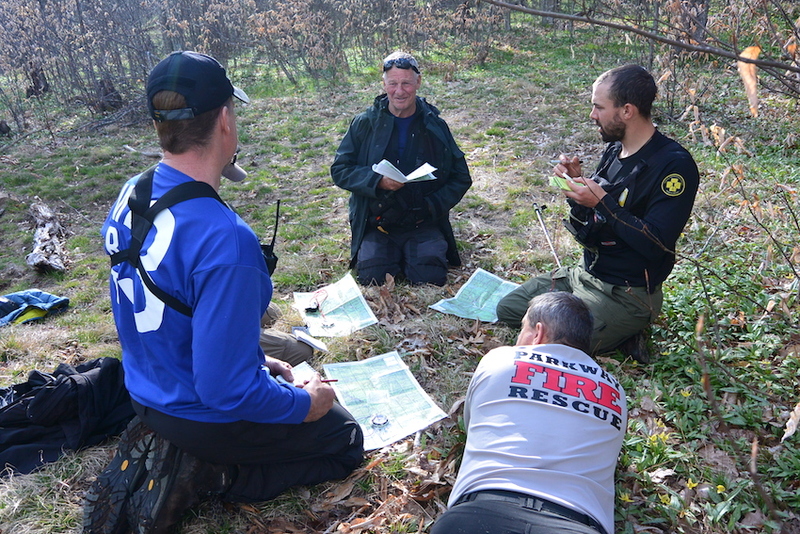 Training some new recruits in the art of Land Navigation. 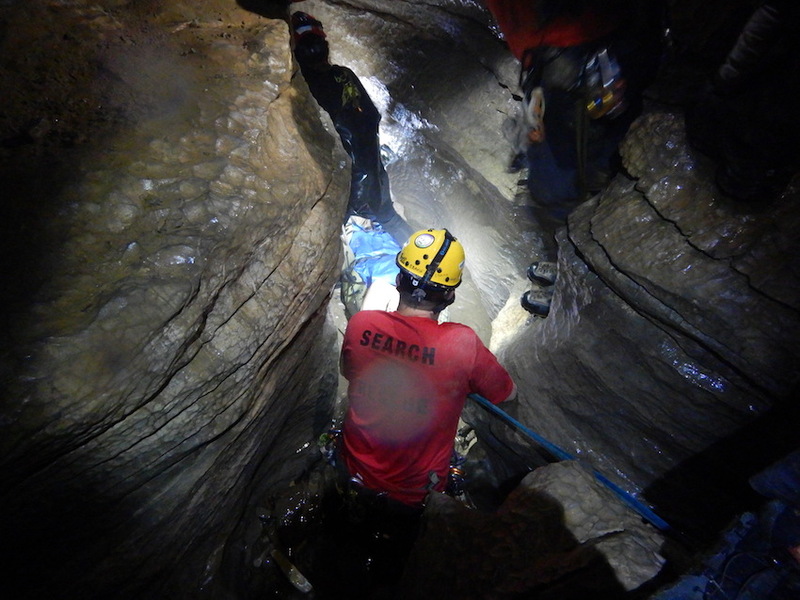 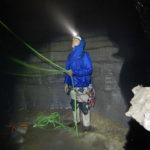 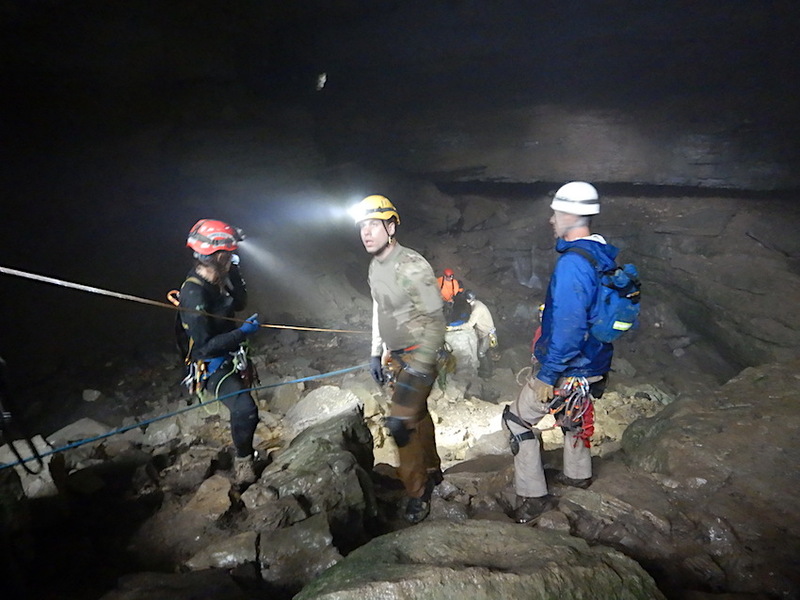 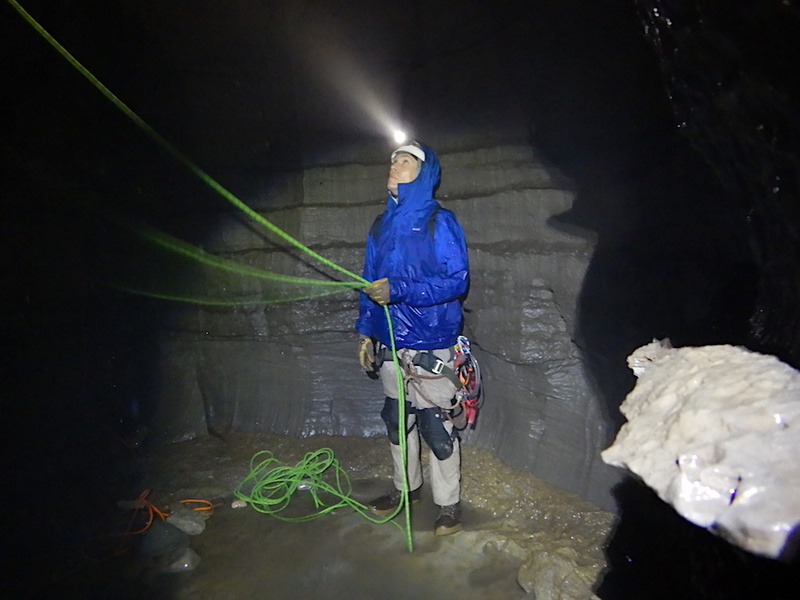 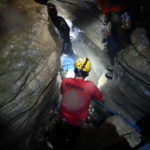 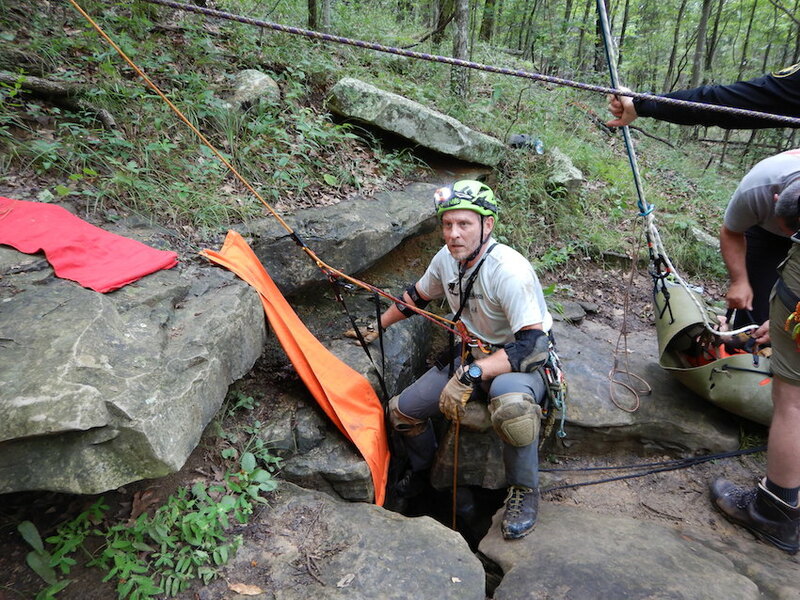 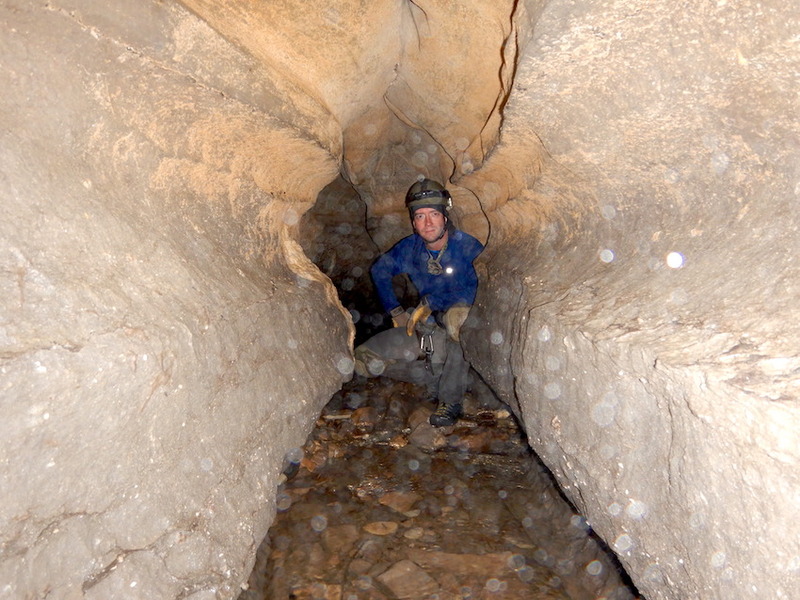 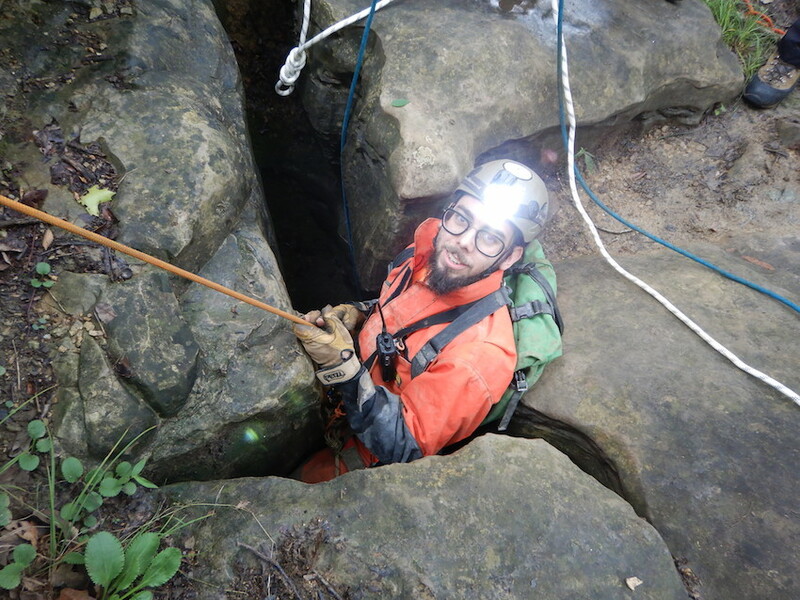 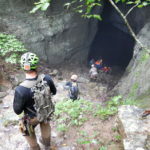 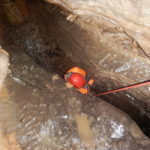 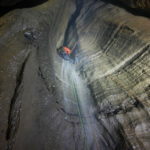 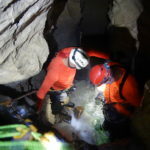 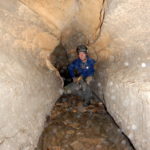 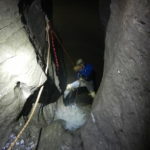 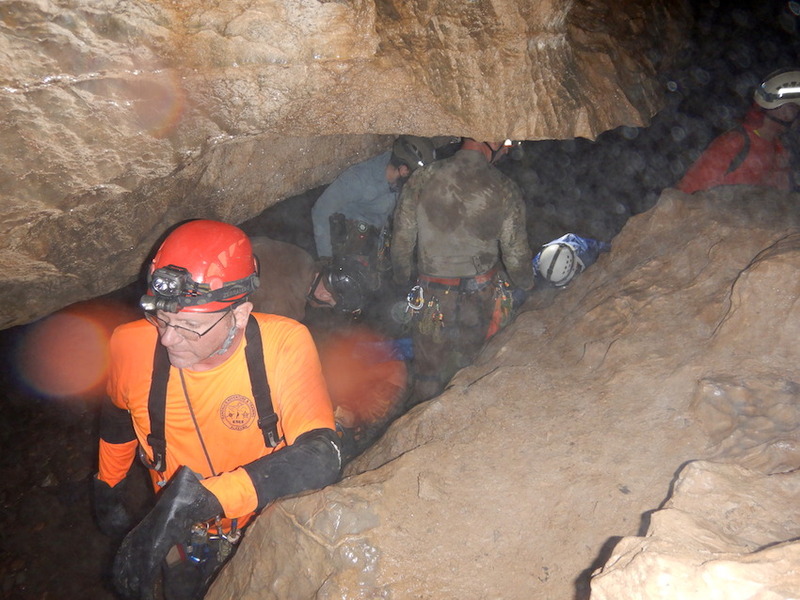 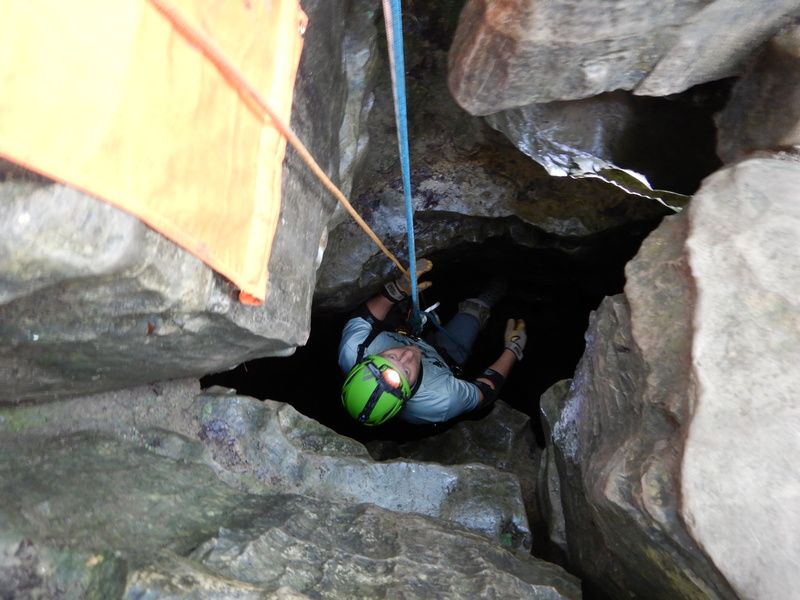 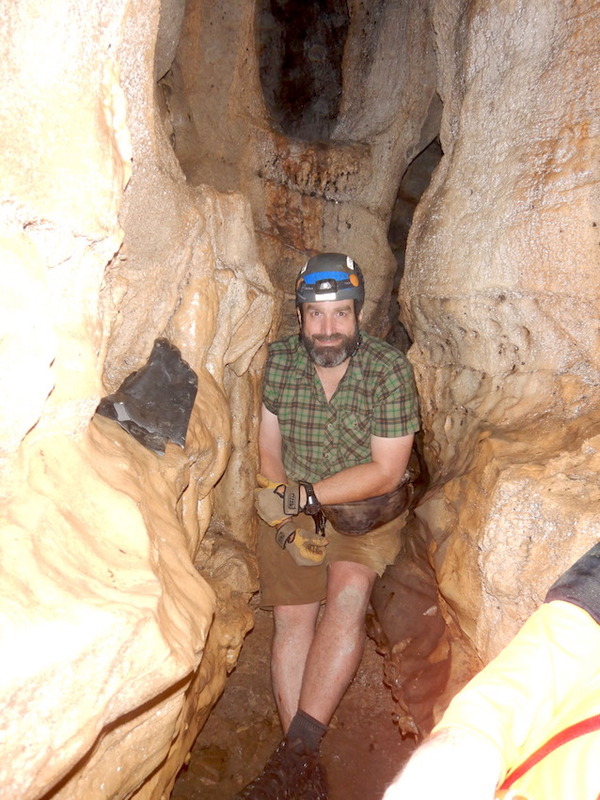 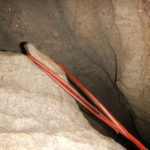 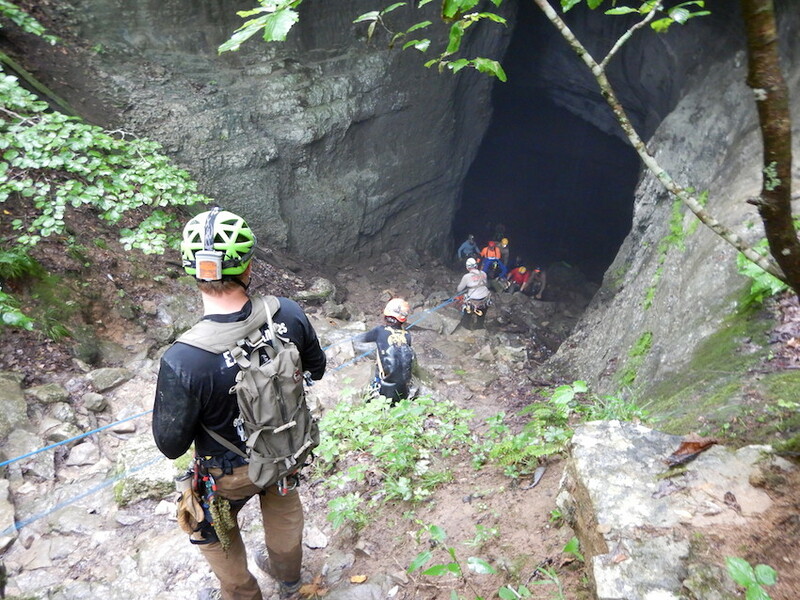 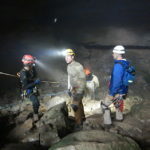 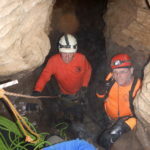 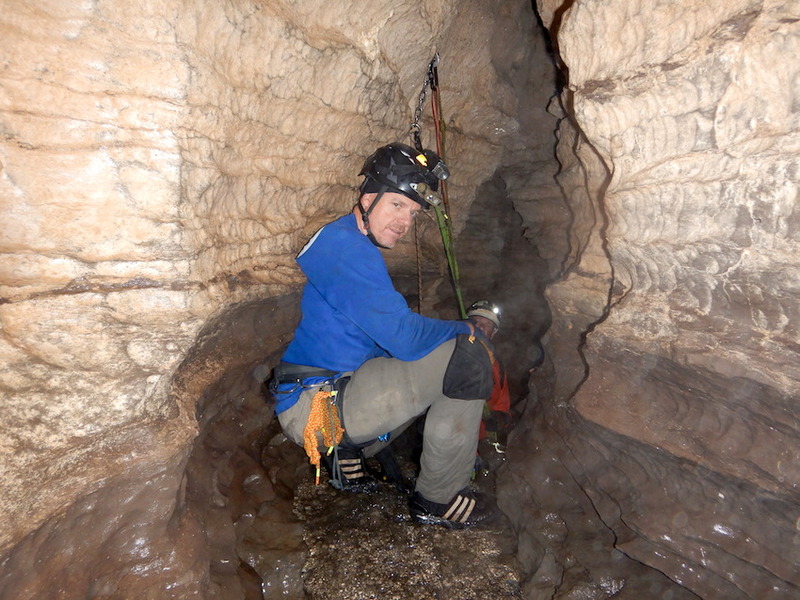 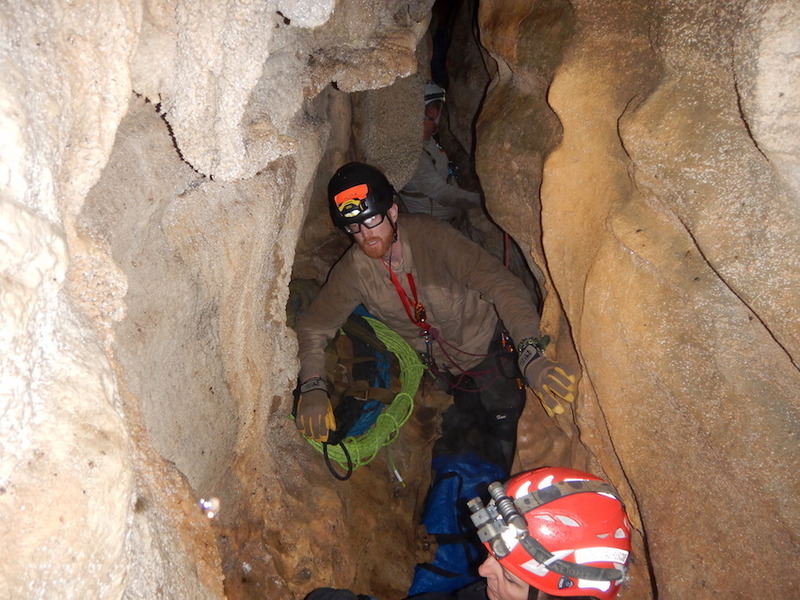 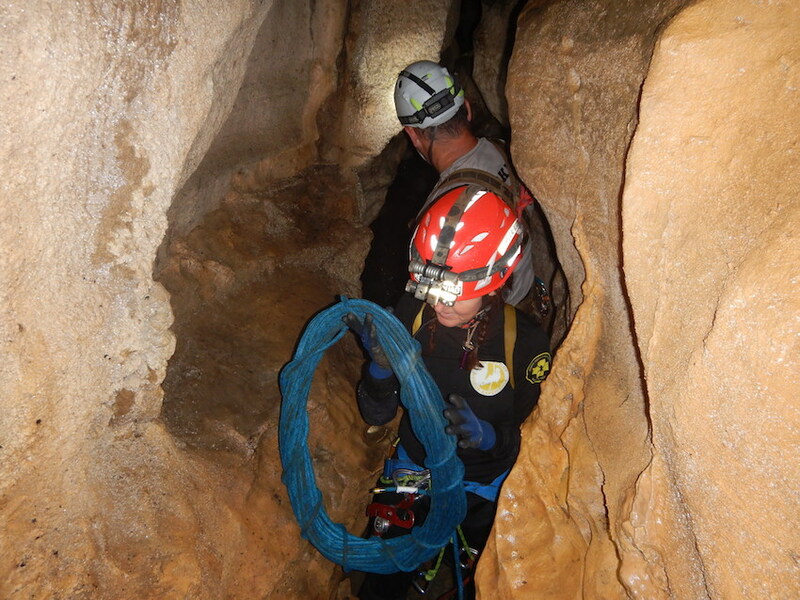 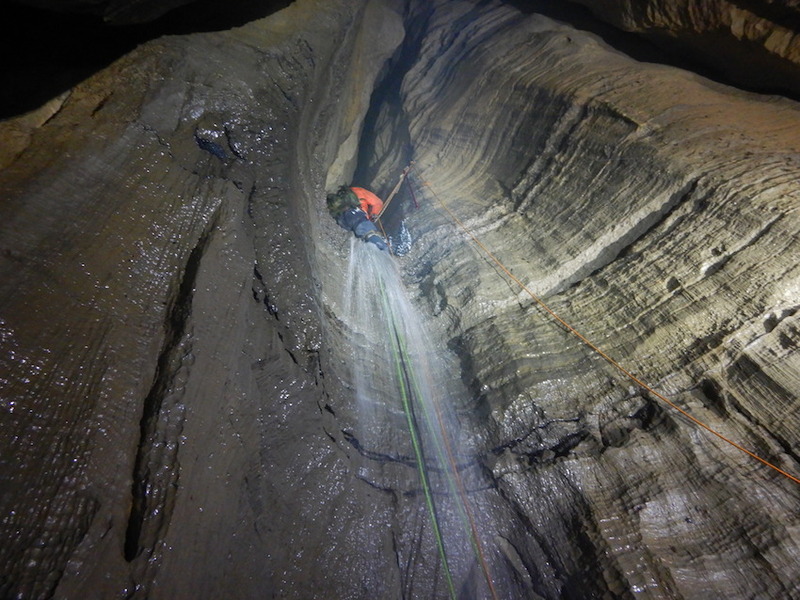 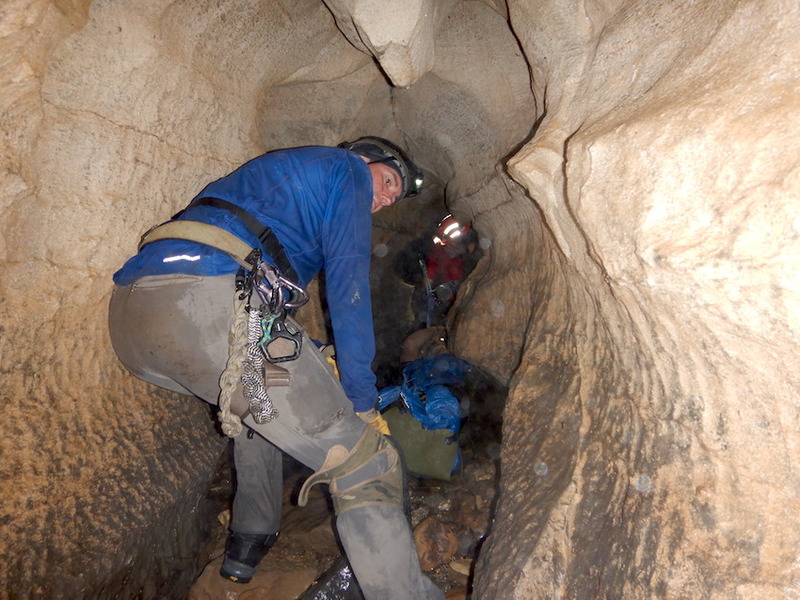 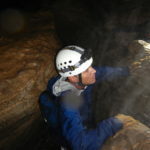 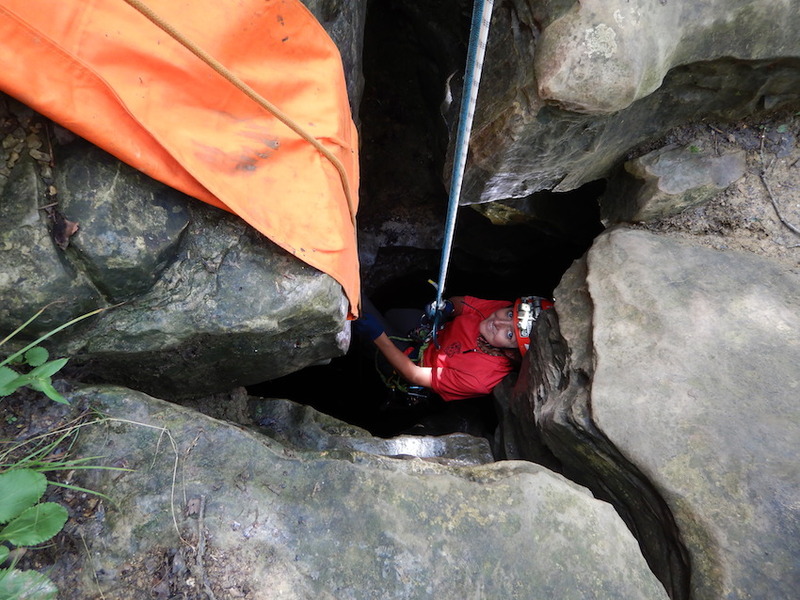 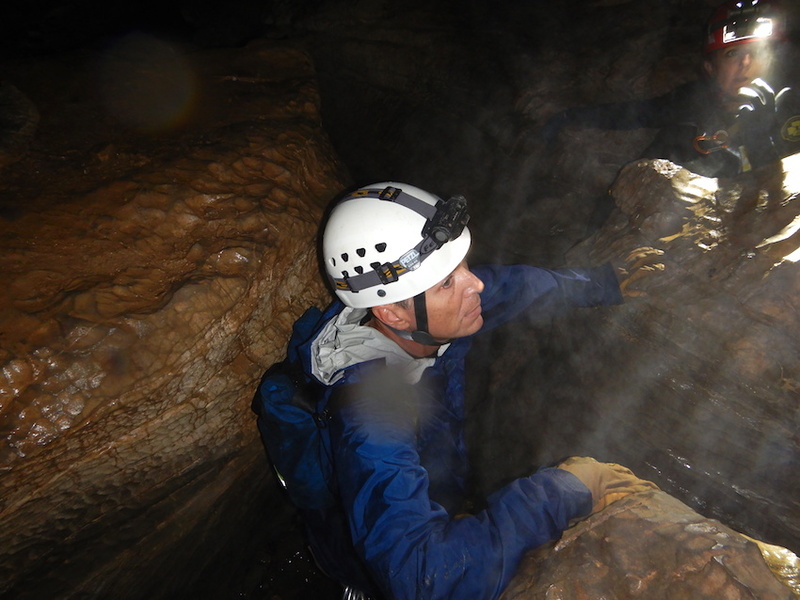 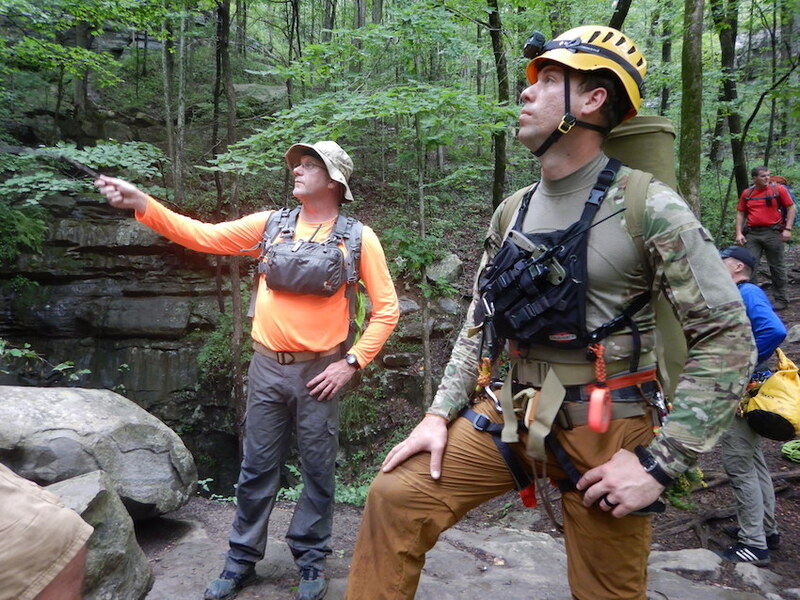 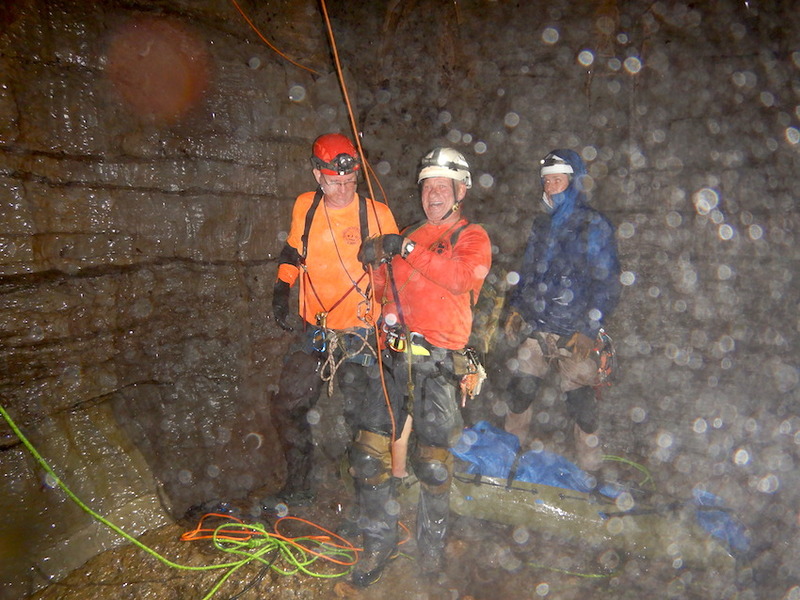 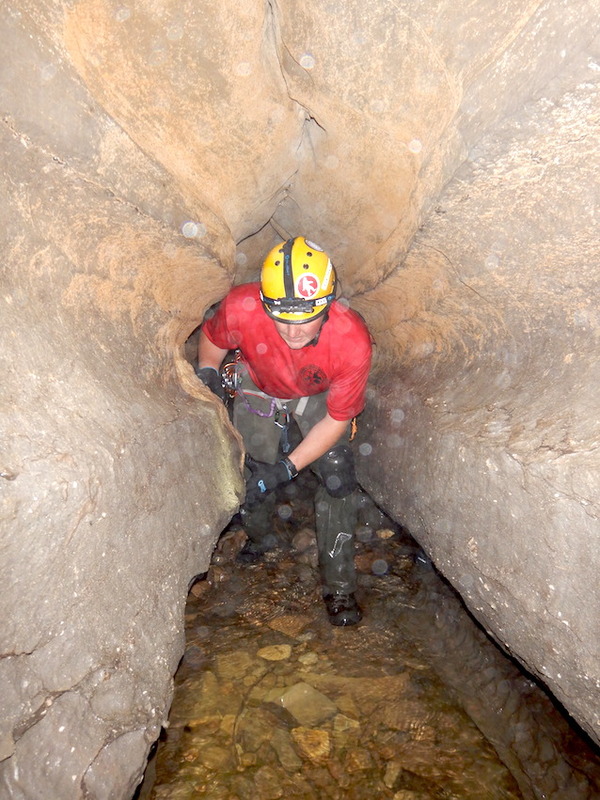 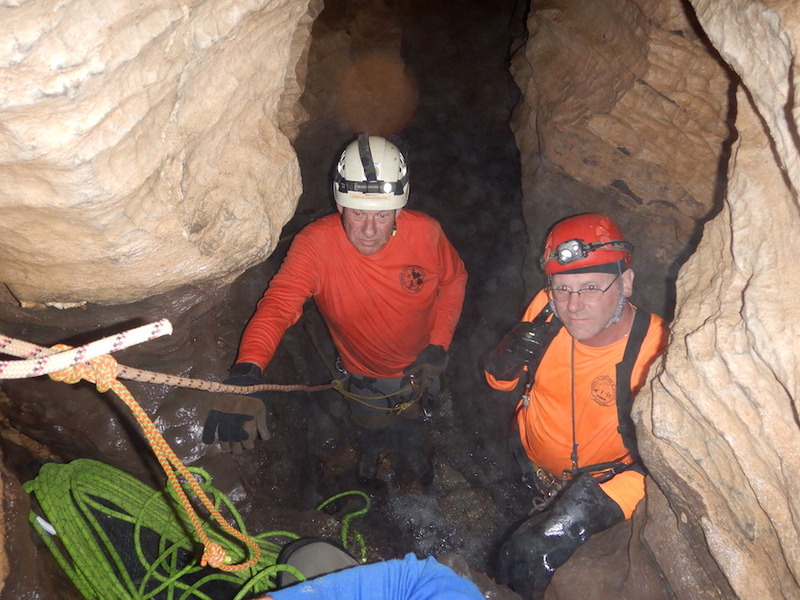 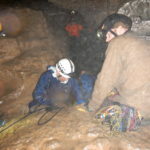 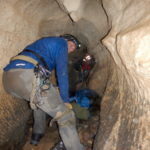 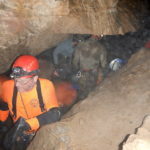 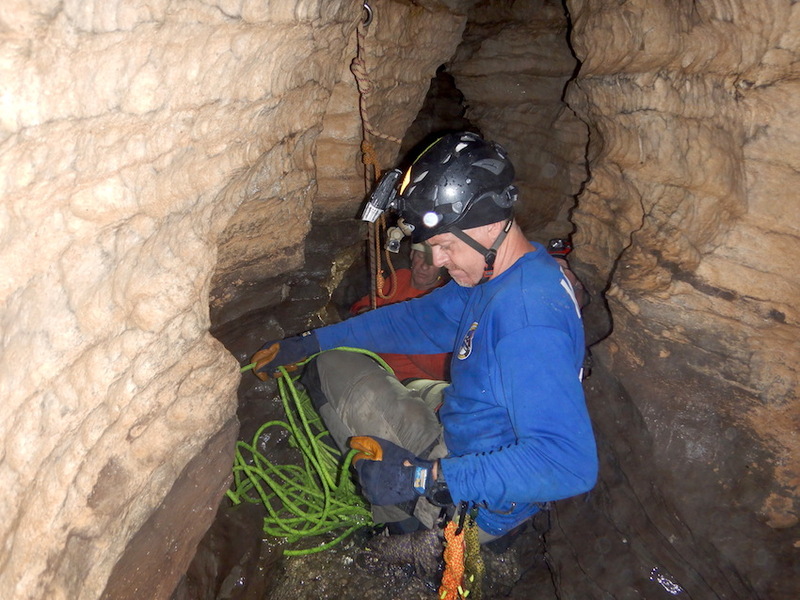 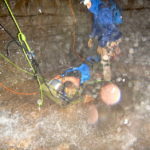 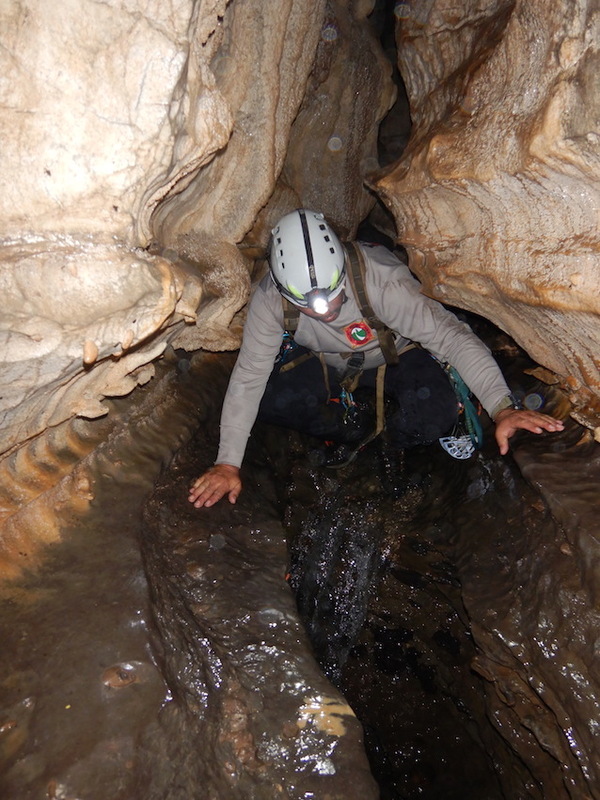 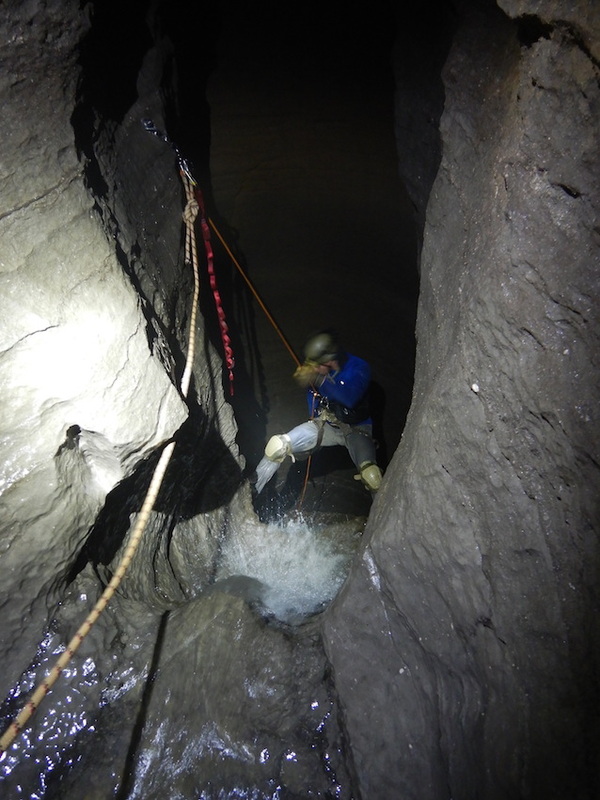 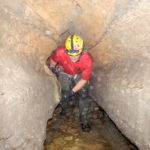 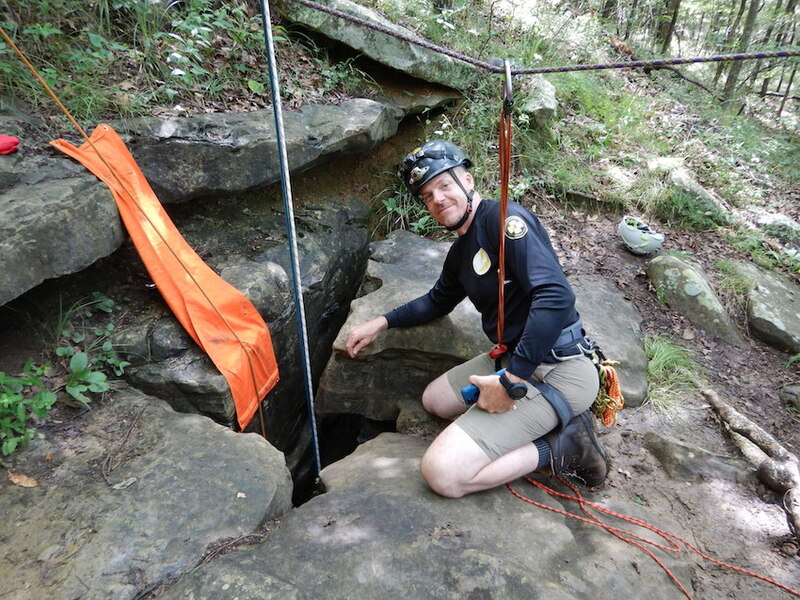 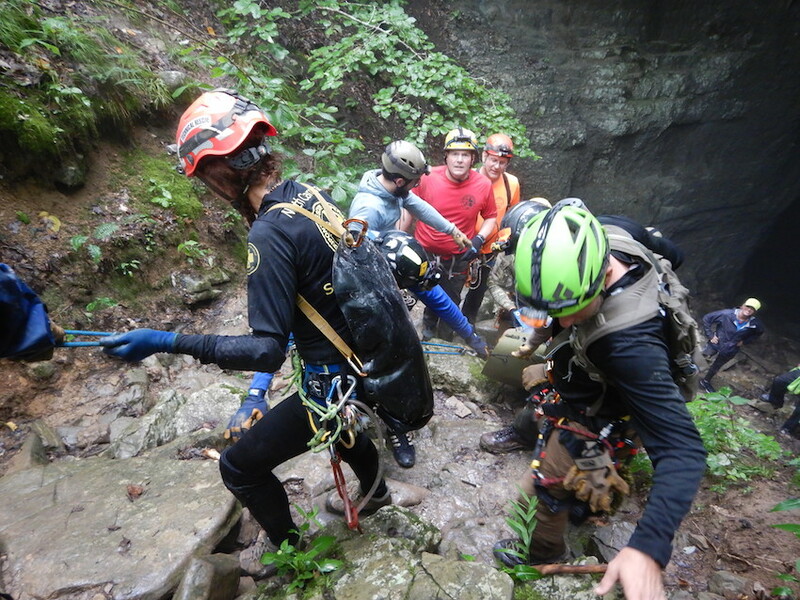 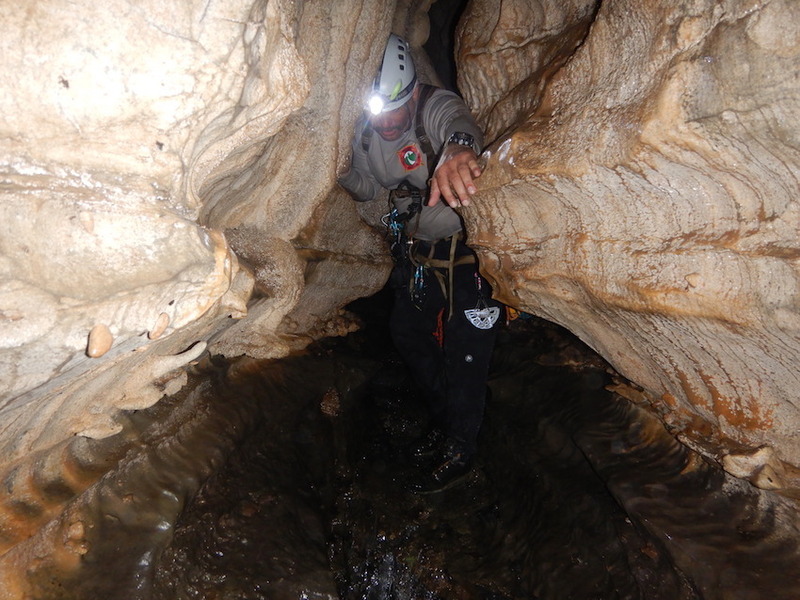 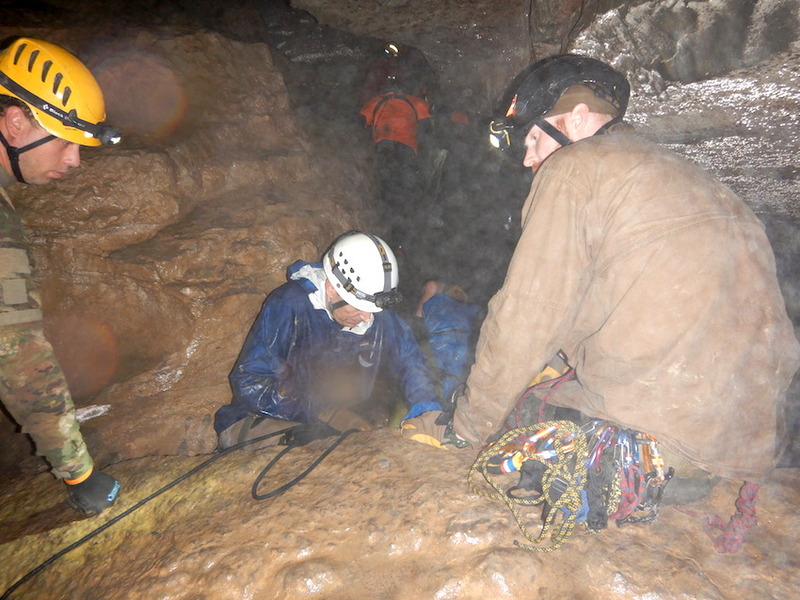 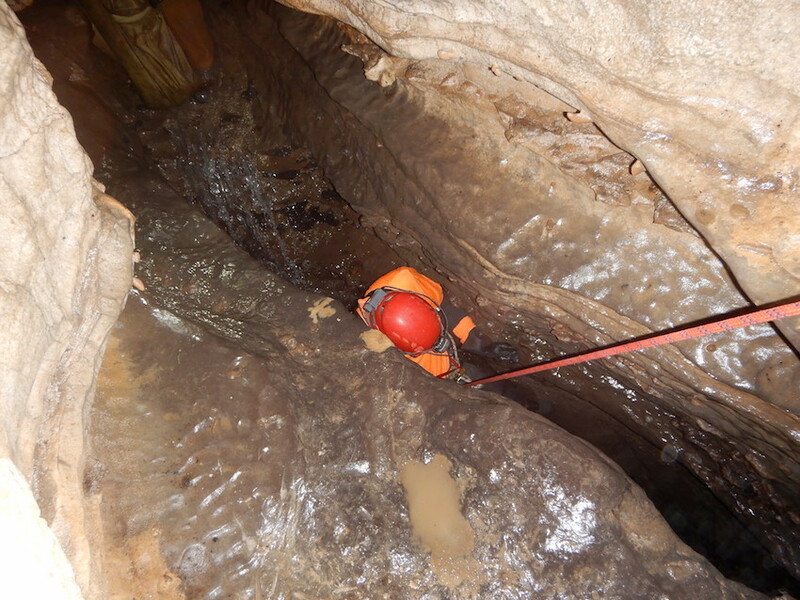 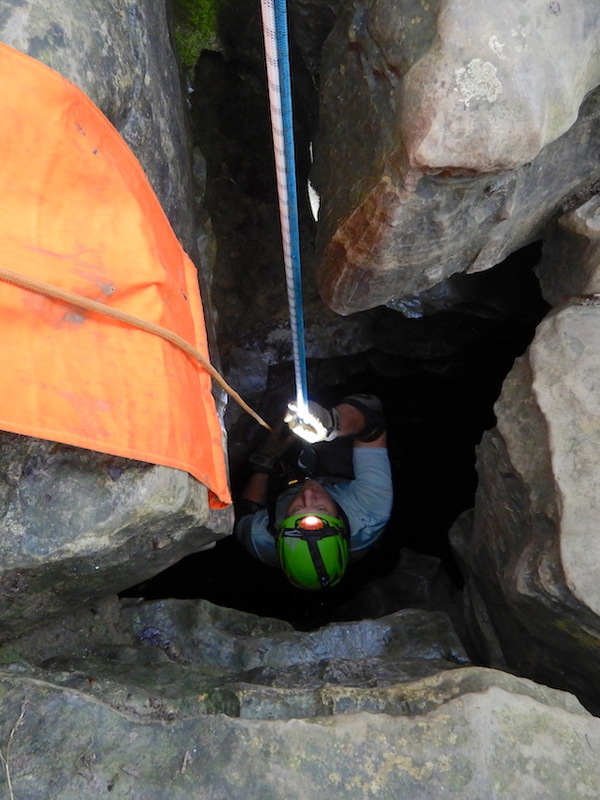 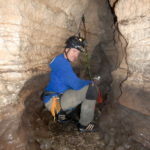 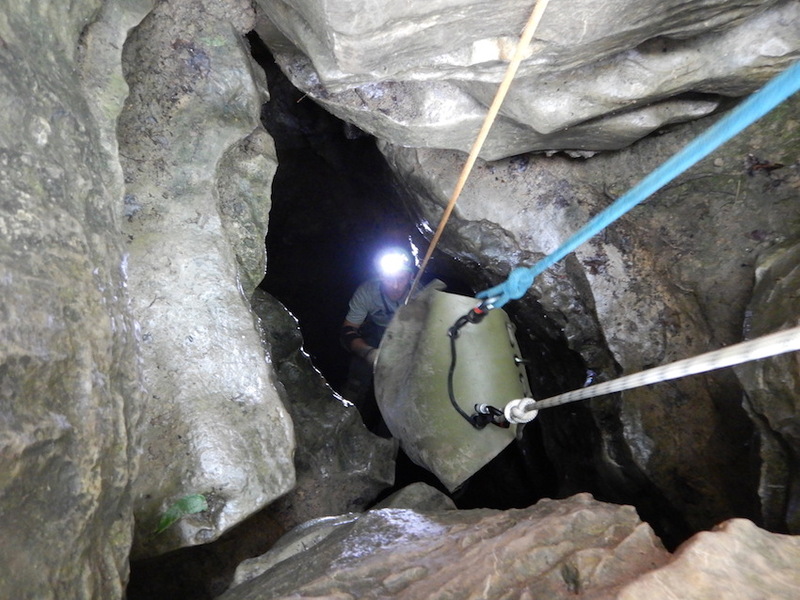 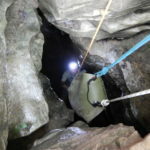 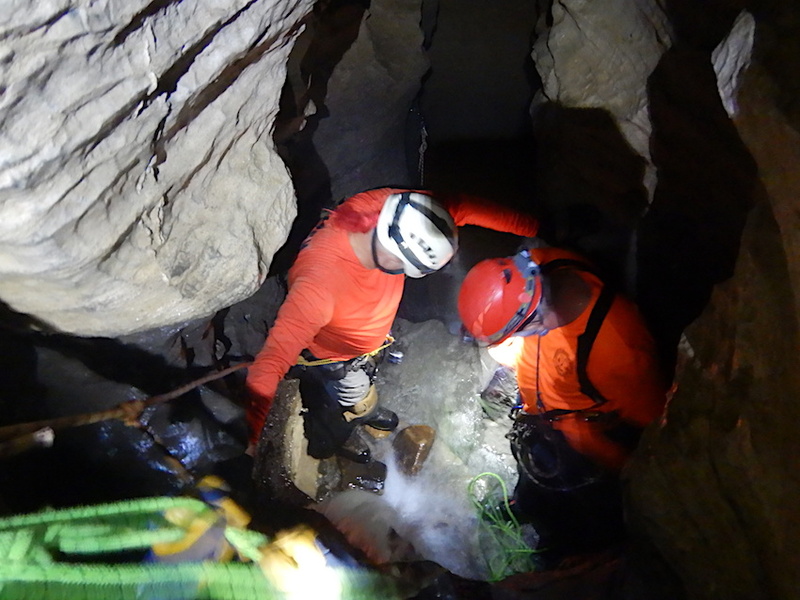 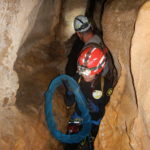 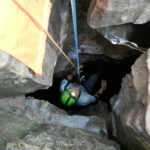 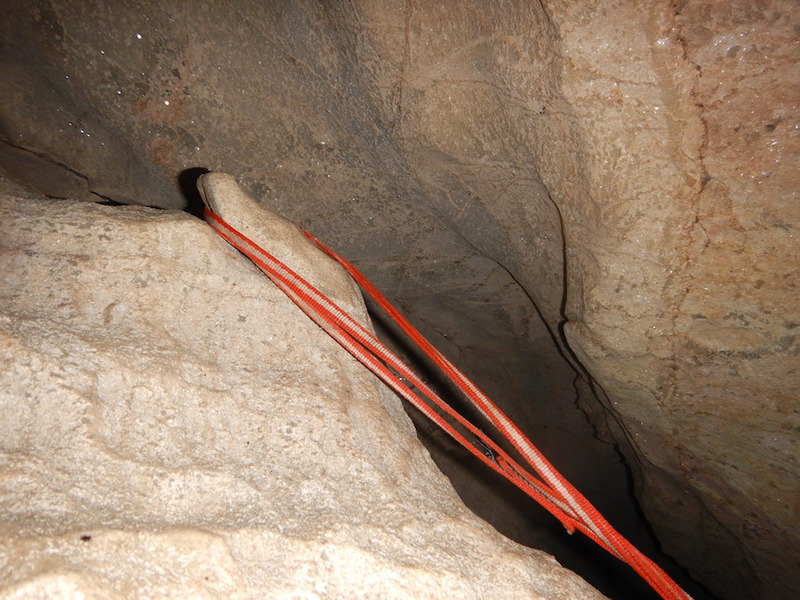 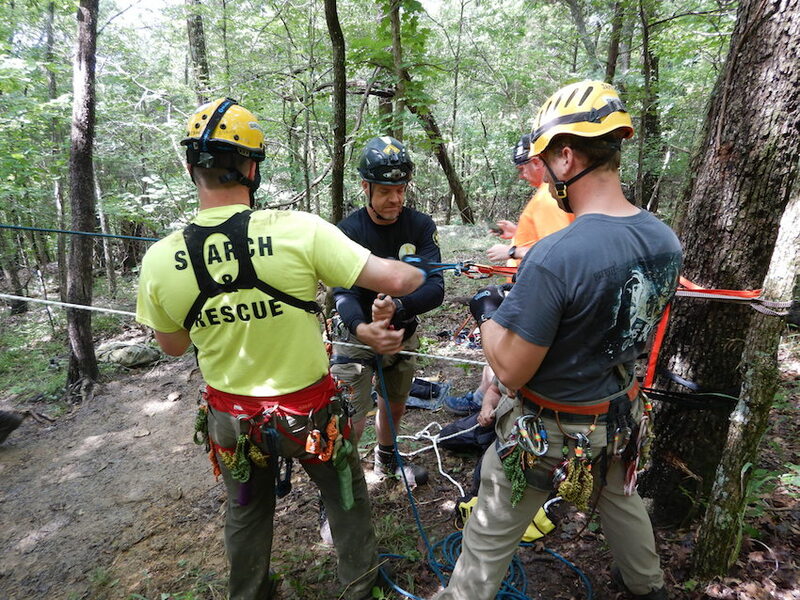 We would like to thank our extended SAR team family from North Carolina for spending a few days with us training on a fairly difficult cave rescue scenario, as well as some simpler rescues. 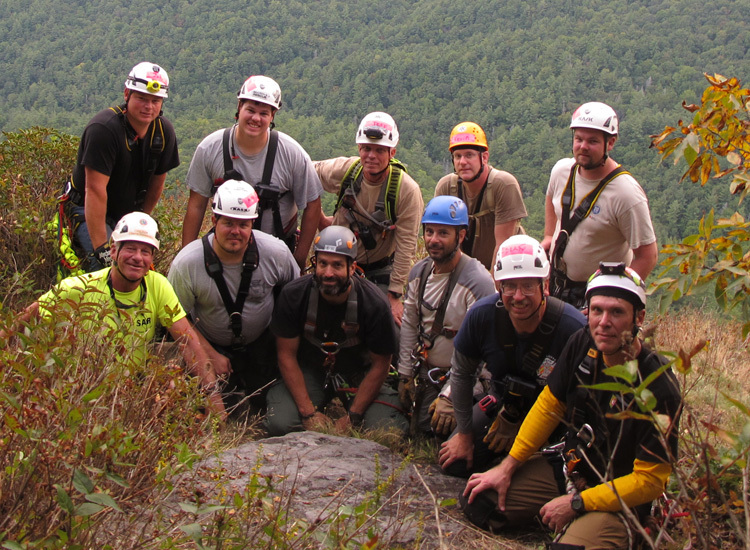 Can’t say enough good things about the SAR team members from Western NC. 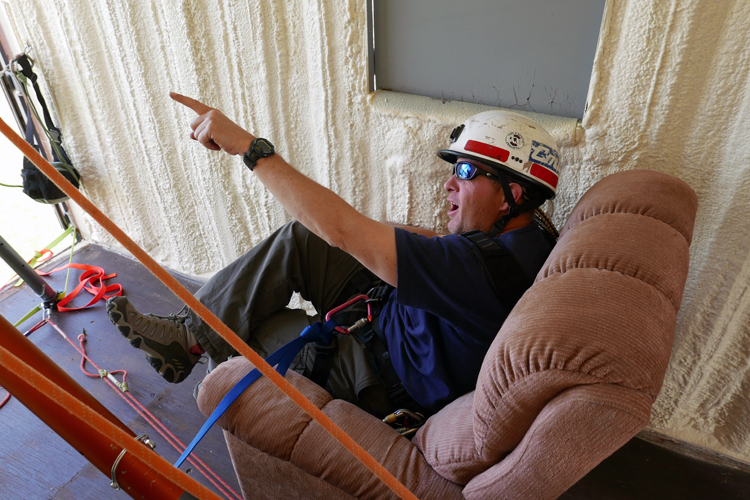 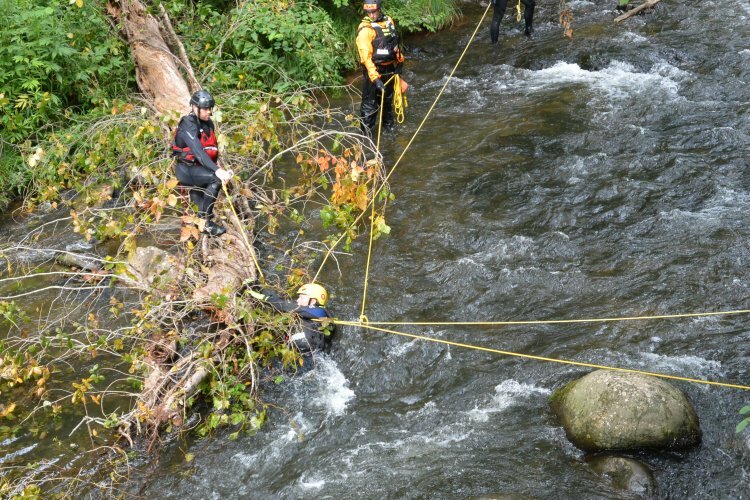 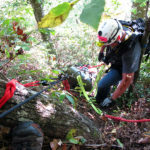 No matter the situation, when to comes to technical rescue it will get done if NC SAR has anything to do with it. 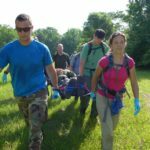 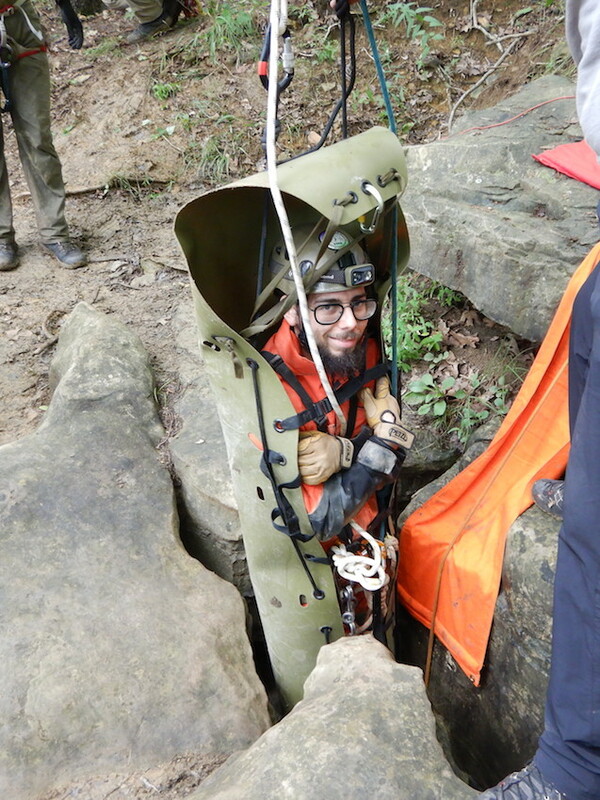 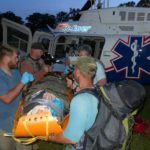 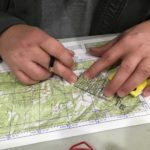 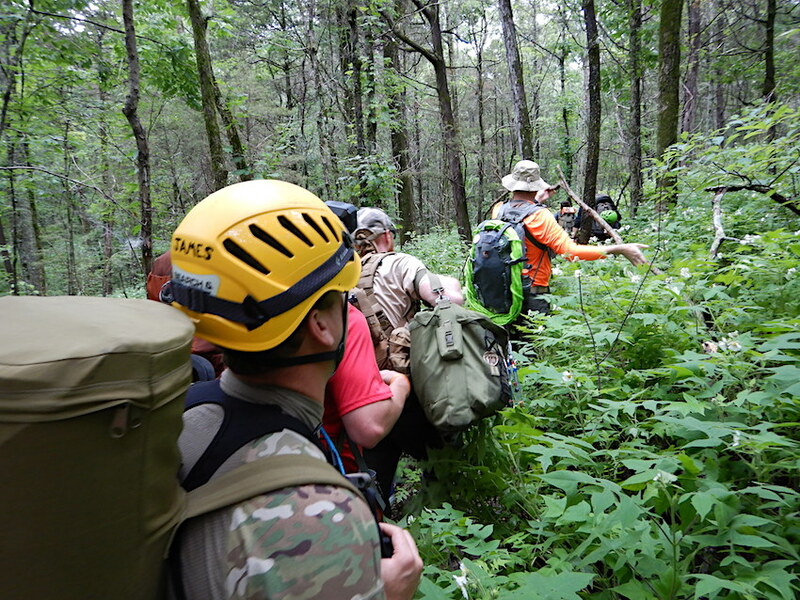 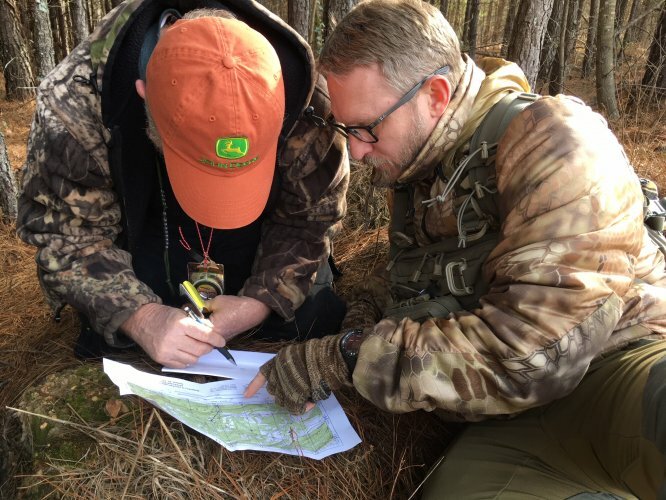 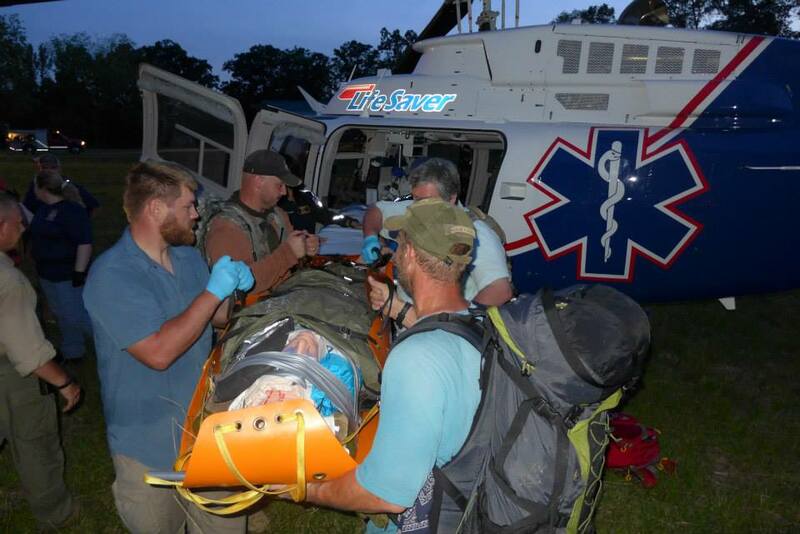 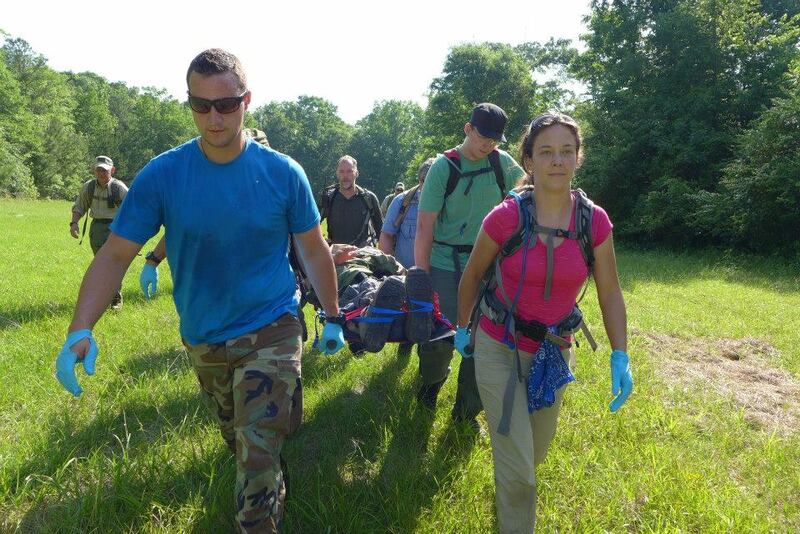 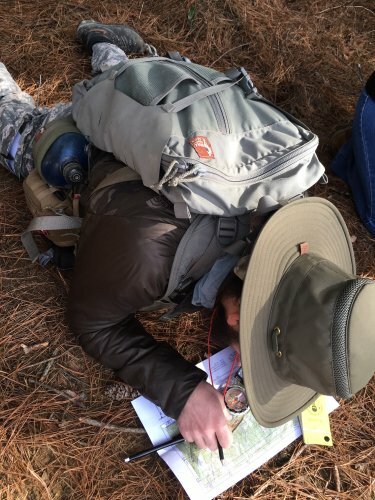 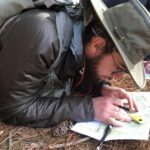 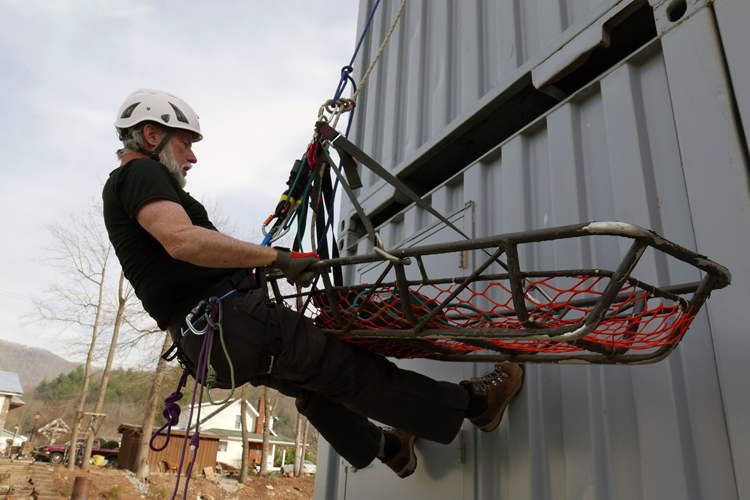 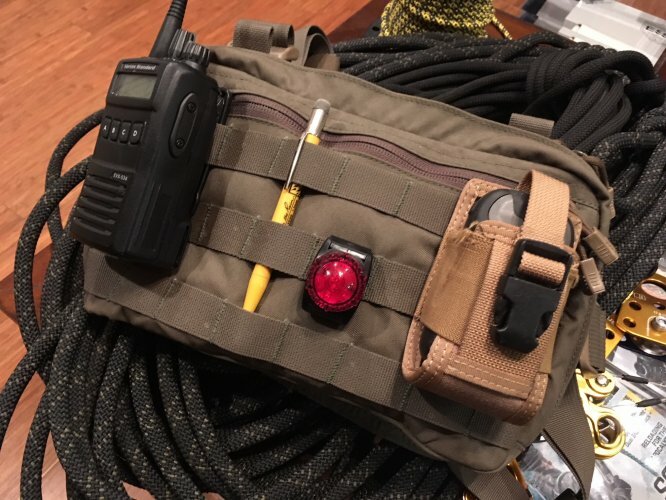 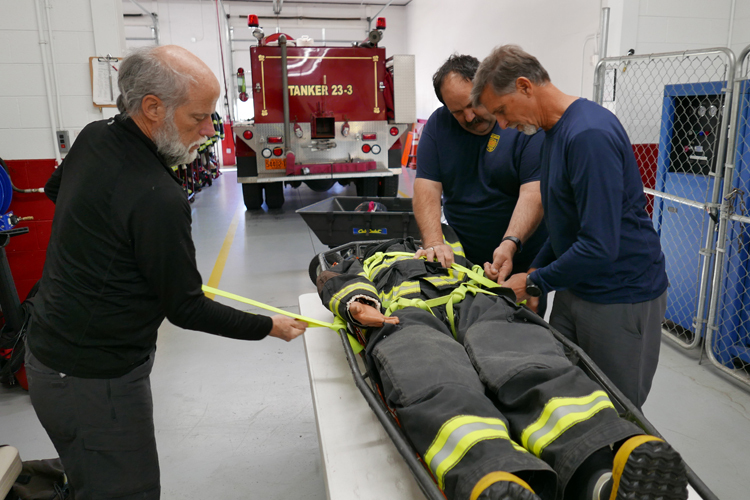 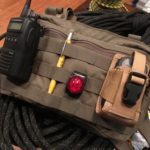 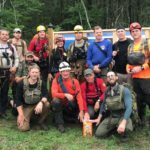 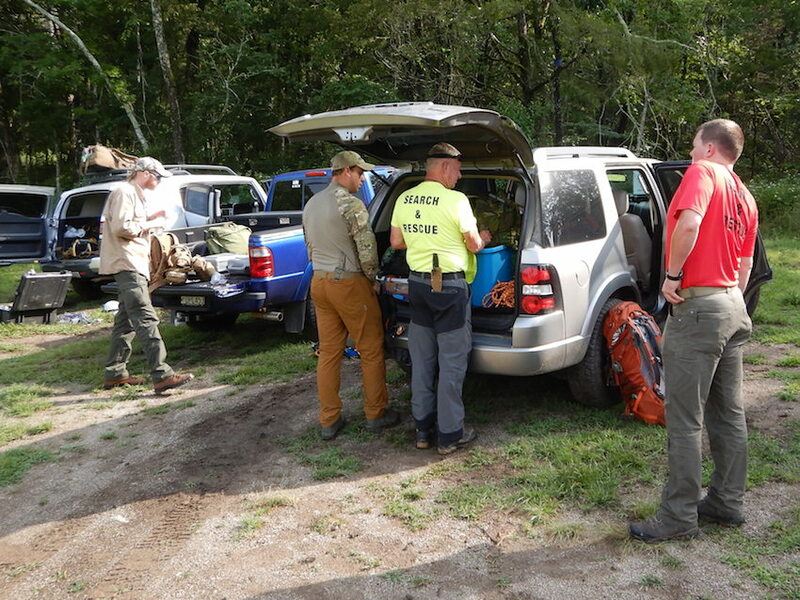 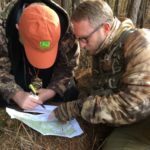 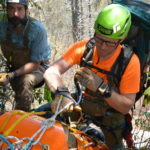 Some of our RAT-SAR members spent 6 days helping teach Advanced Rescue for North Carolina’s Haywood Community College’s Wilderness Week program. 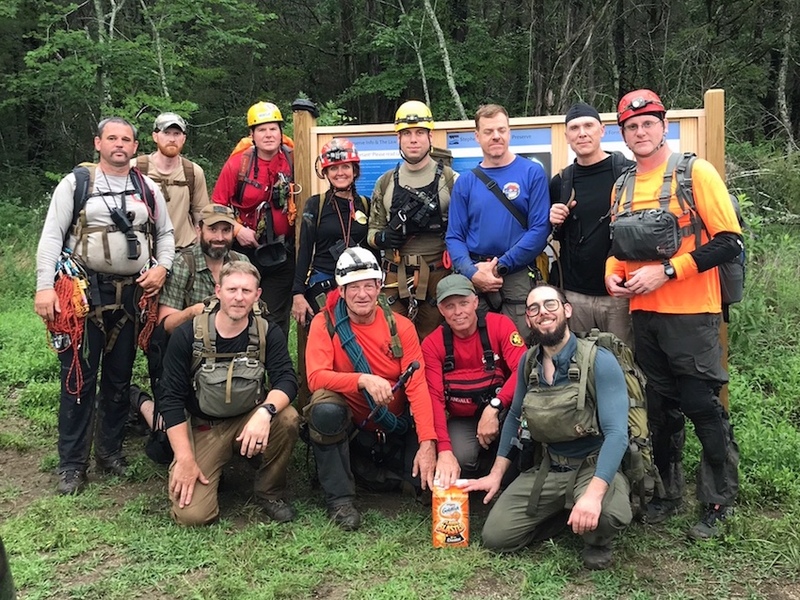 It rained 4 out of the 6 days we were out but it was an honor and privilege to work with this group of true SAR professionals in Western North Carolina. 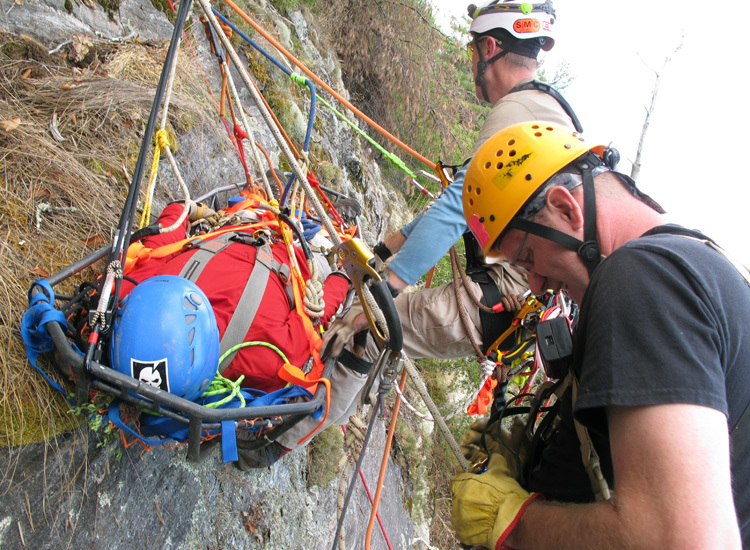 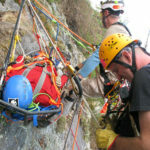 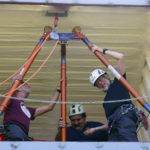 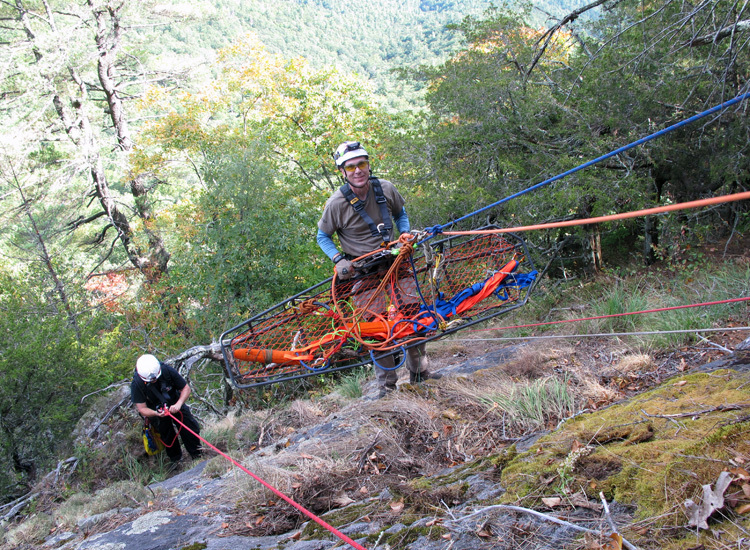 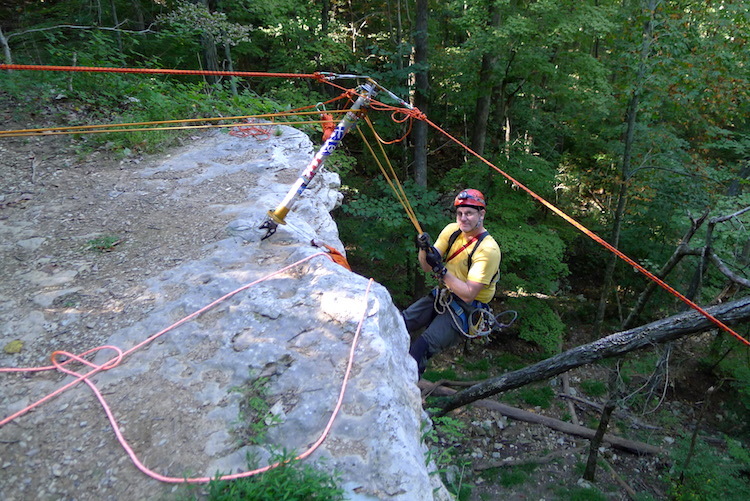 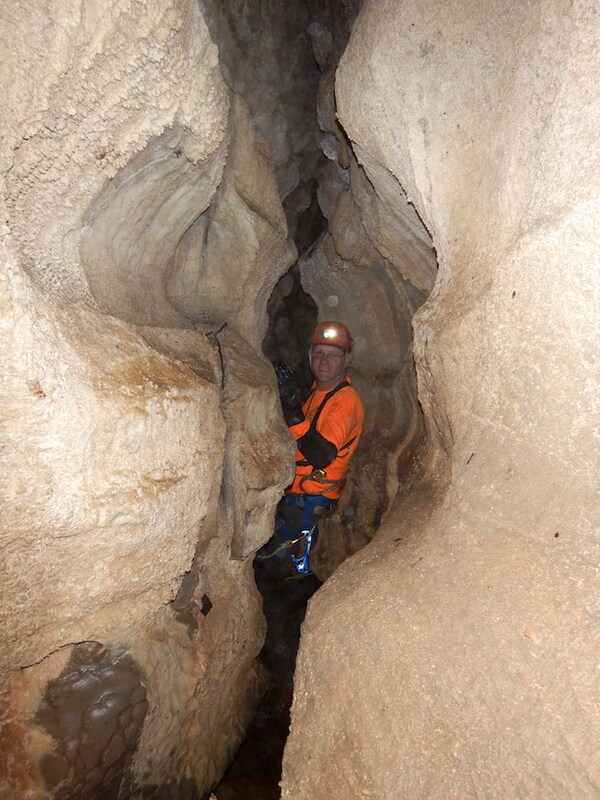 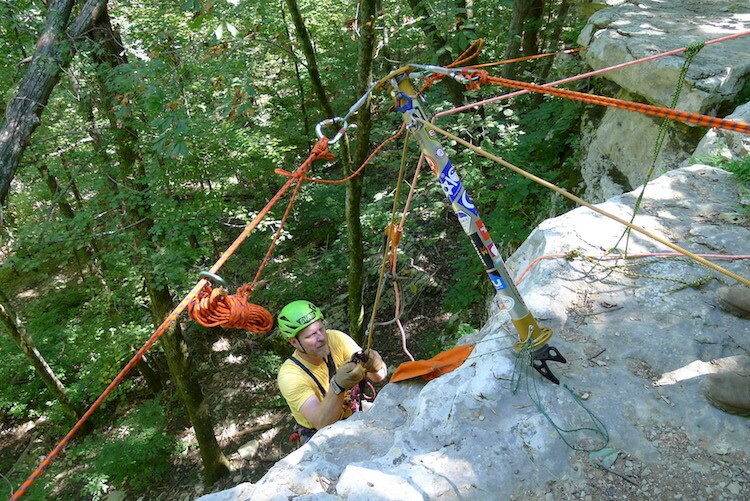 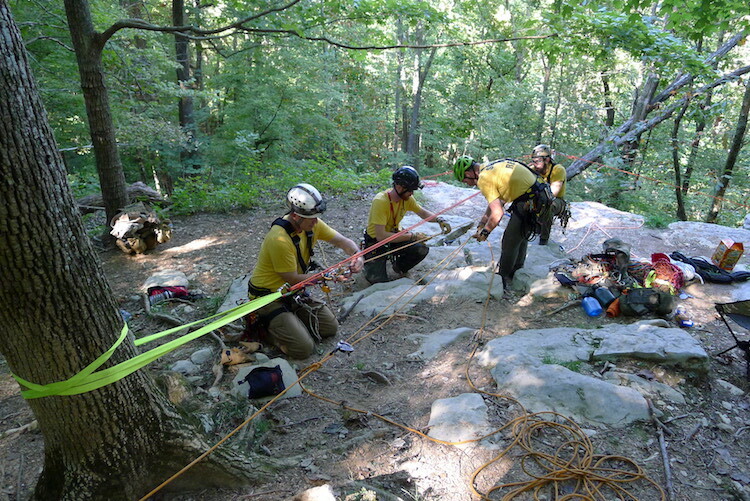 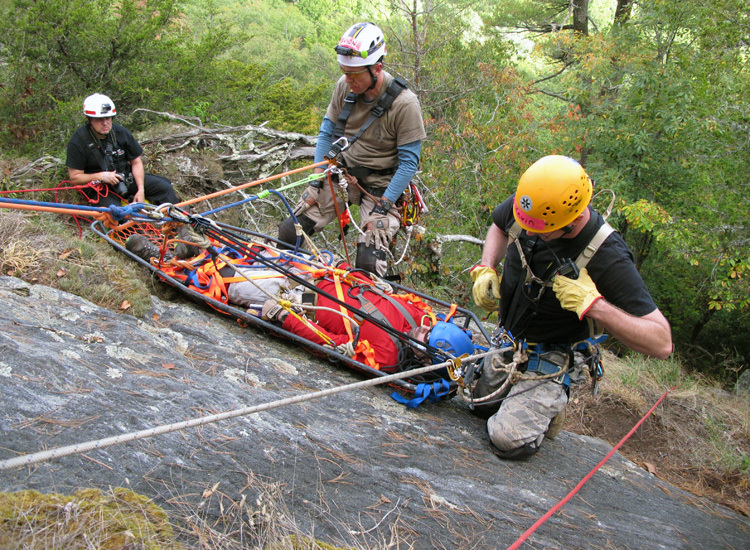 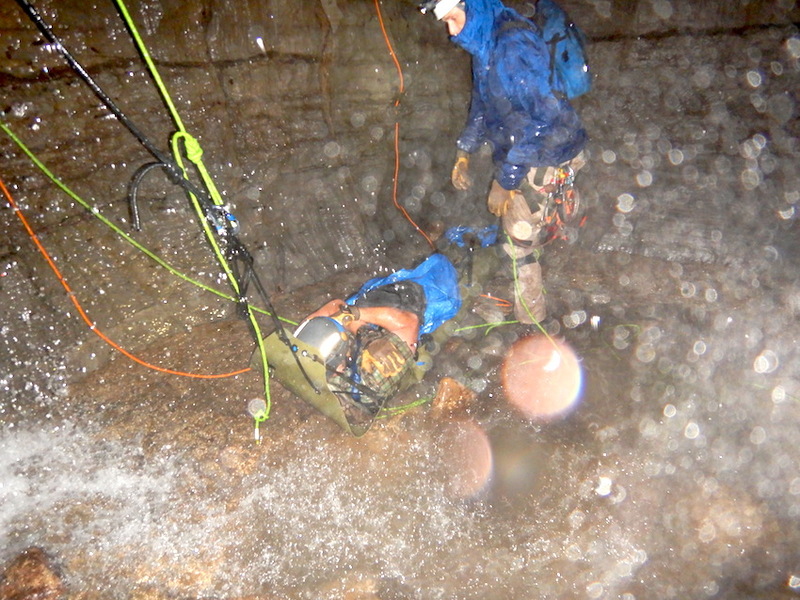 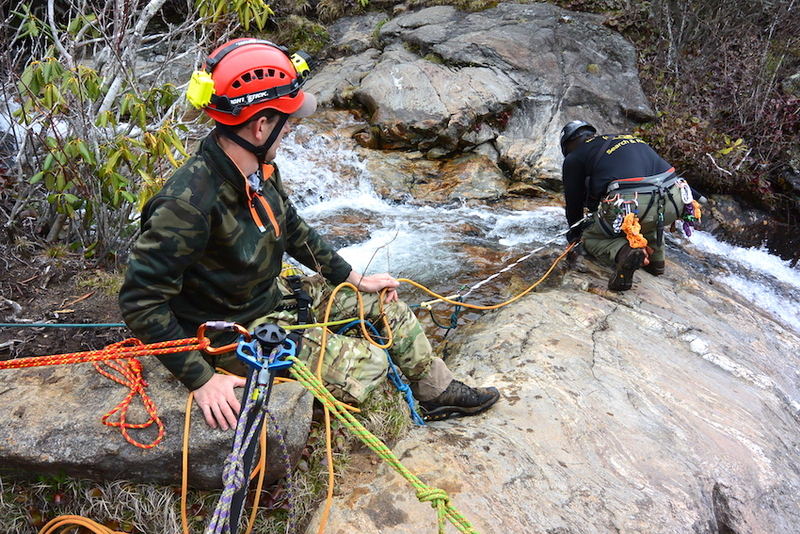 Part of the RAT-SAR Technical Team working a practice bluff on small team single rope rescue techniques: Diminishing loop, counterbalance hauls, single person rescue hauls, spanish pendulum. 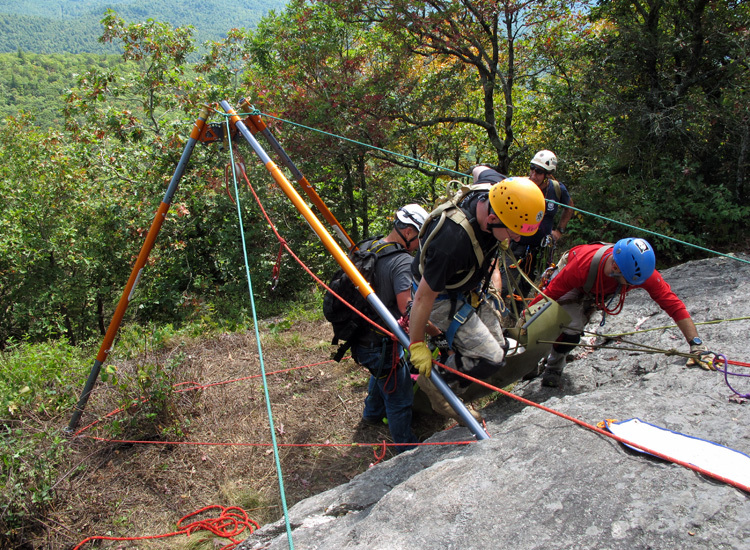 Mountain rescue training with Rescue North Carolina. 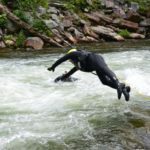 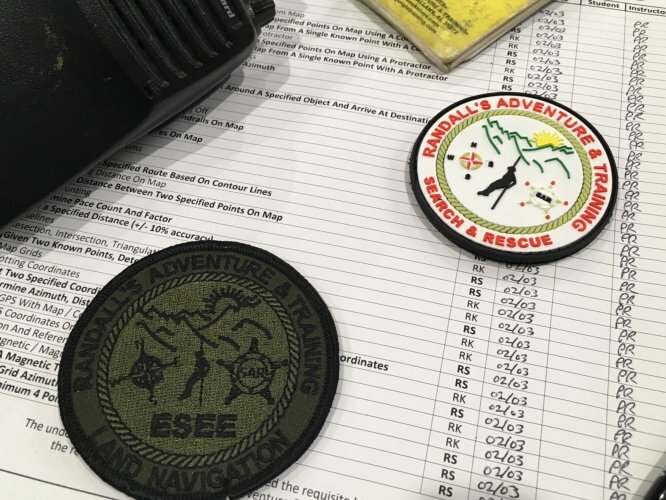 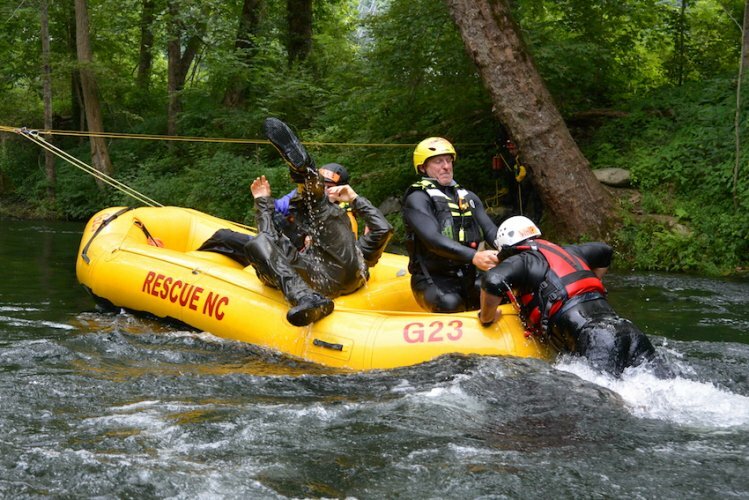 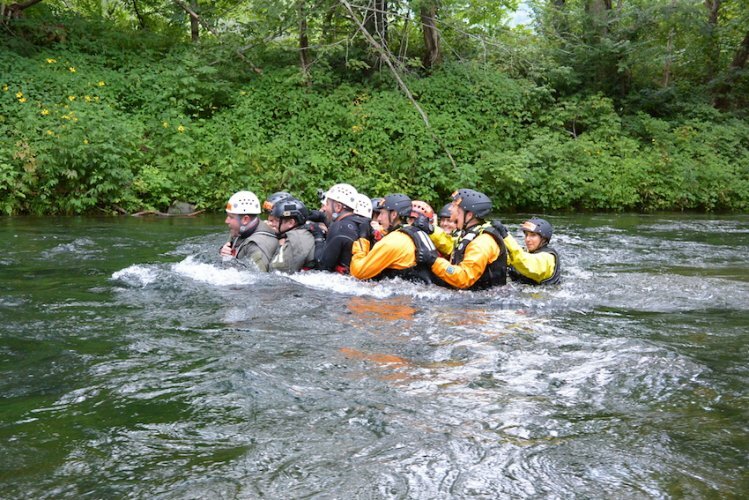 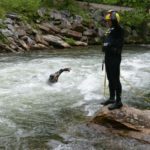 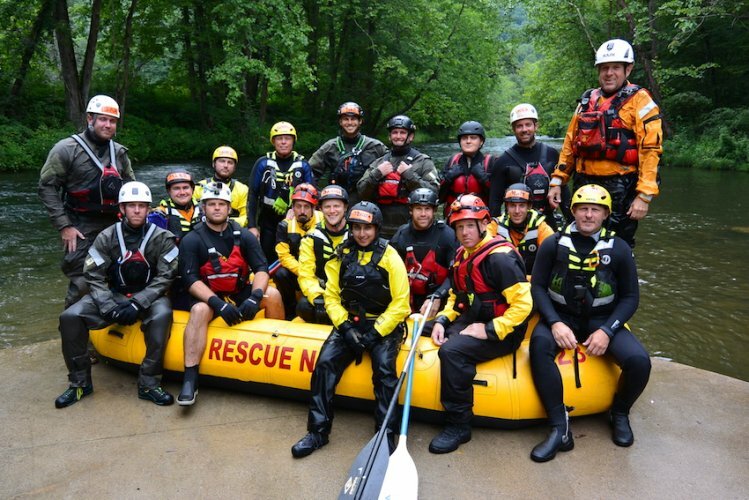 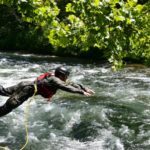 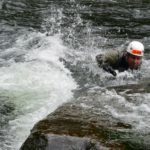 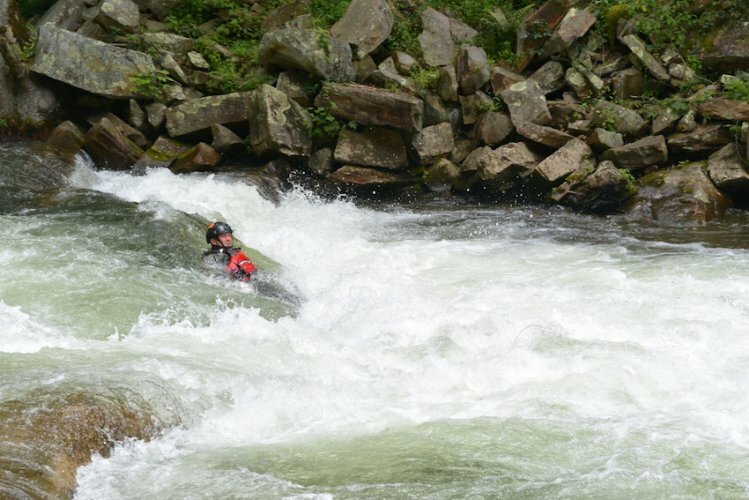 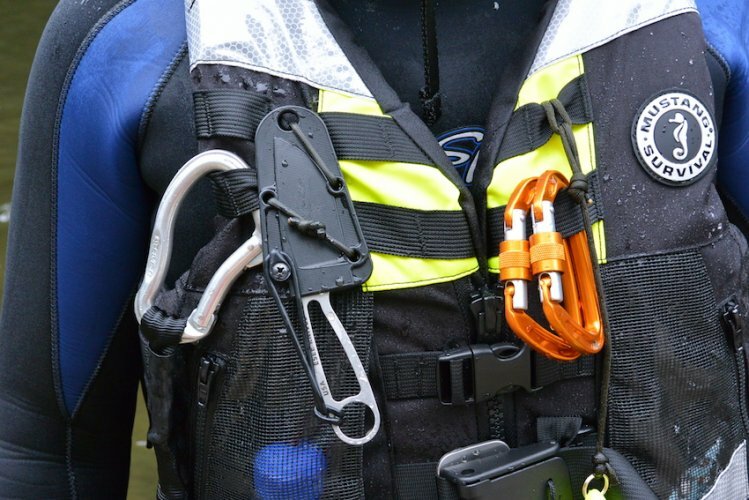 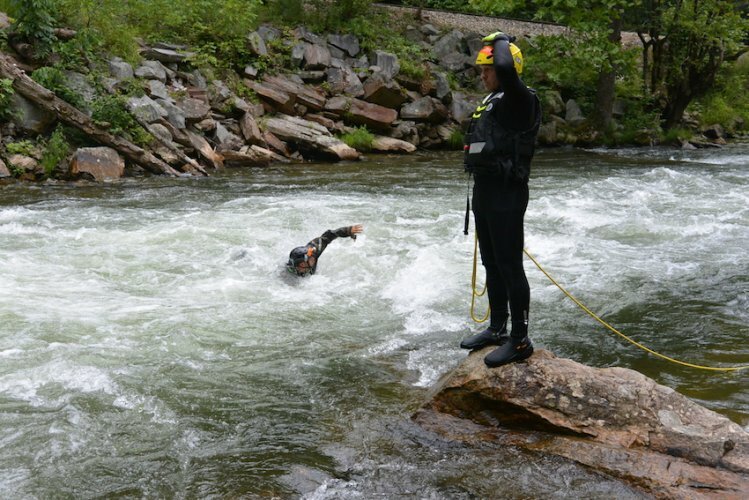 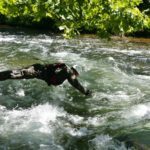 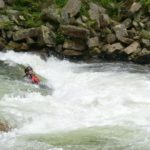 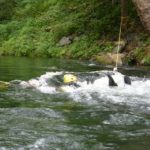 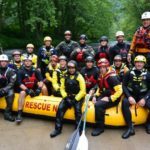 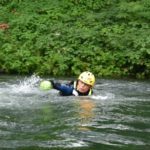 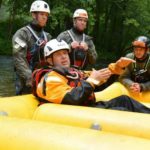 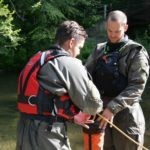 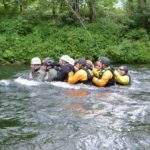 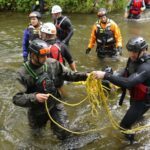 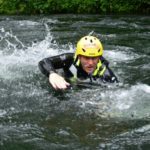 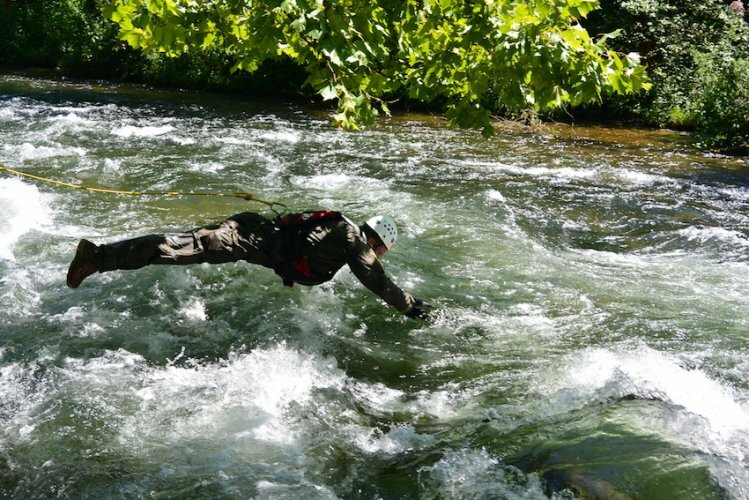 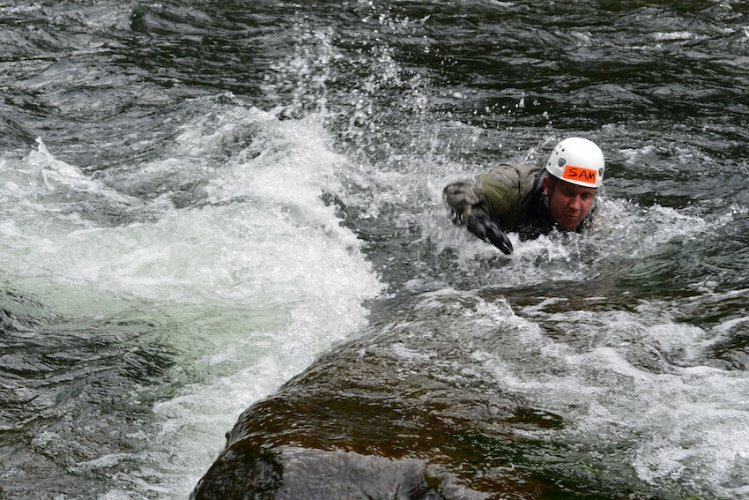 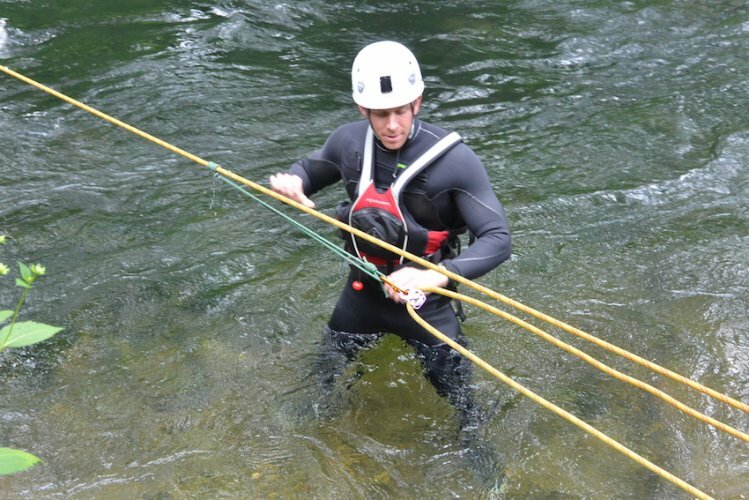 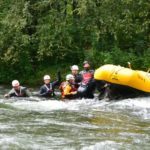 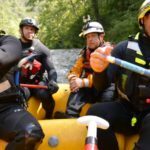 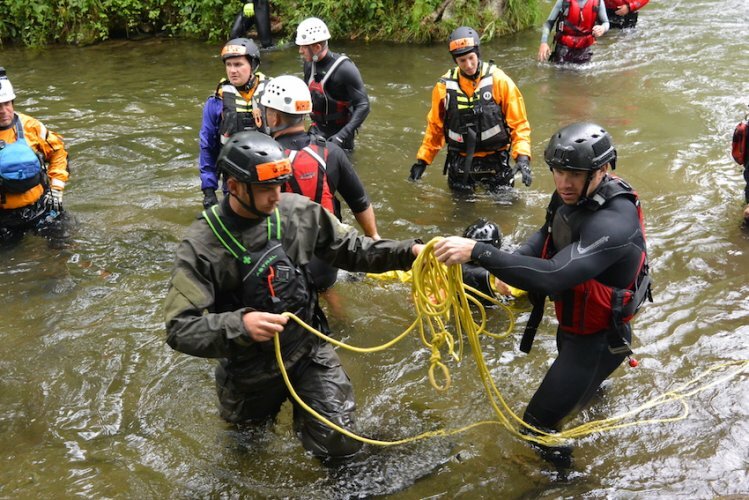 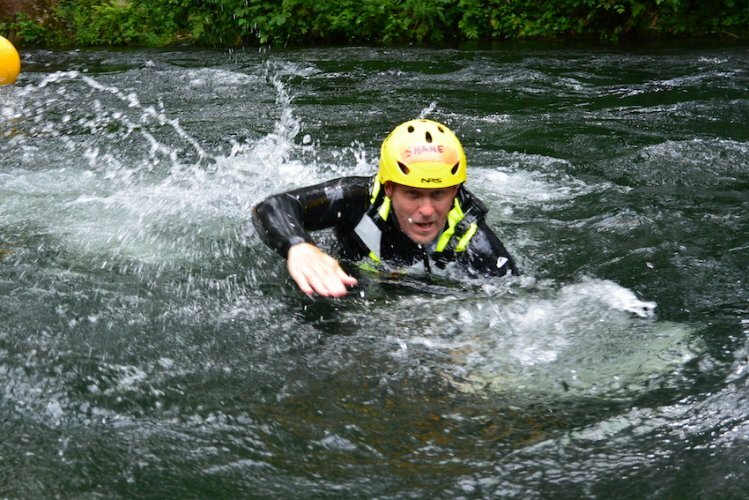 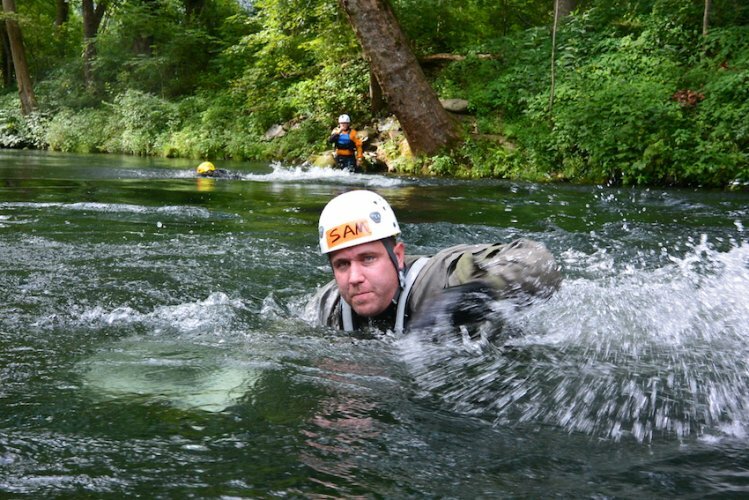 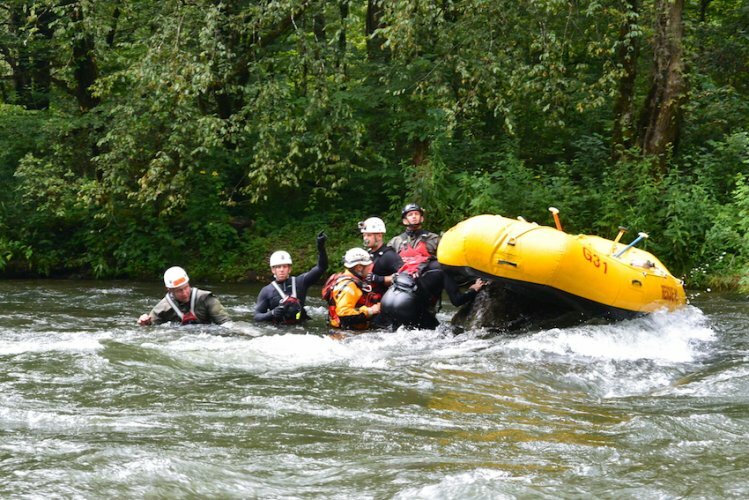 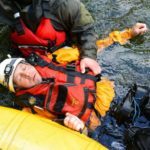 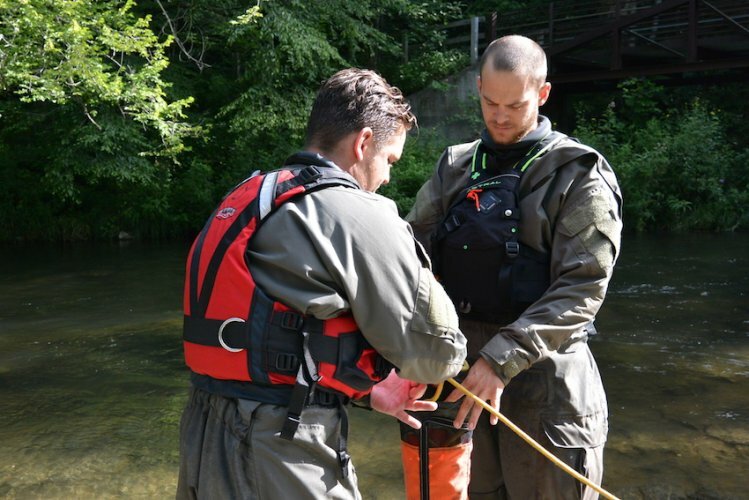 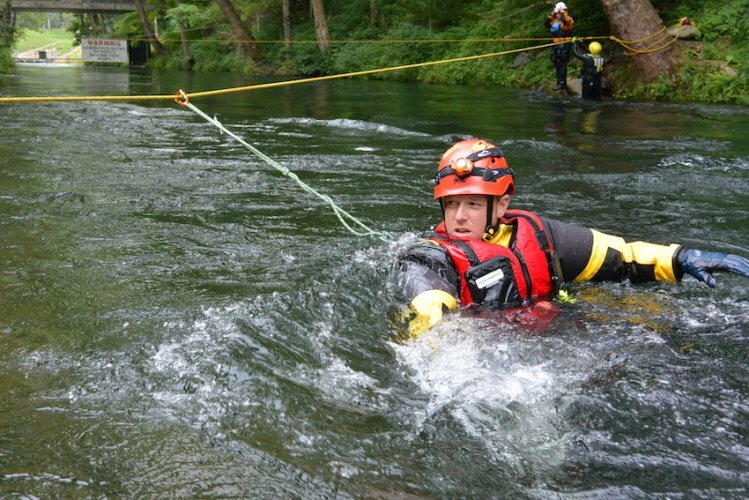 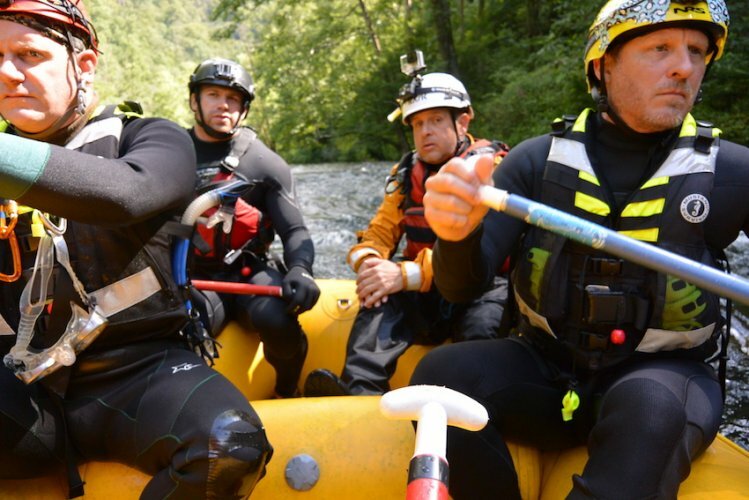 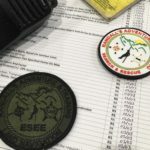 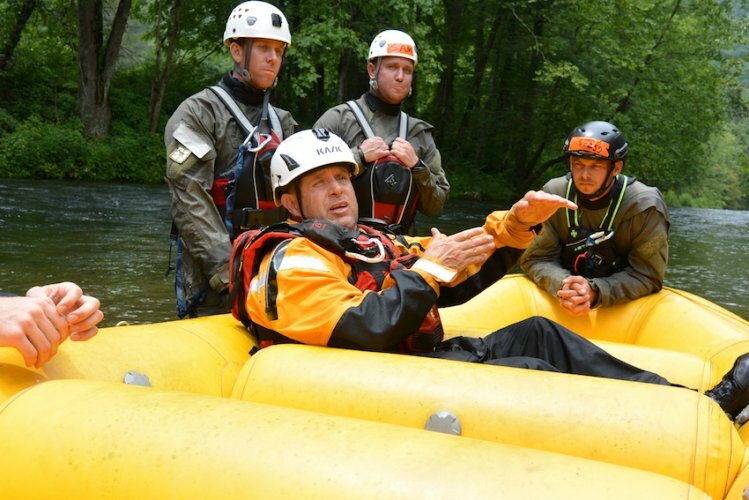 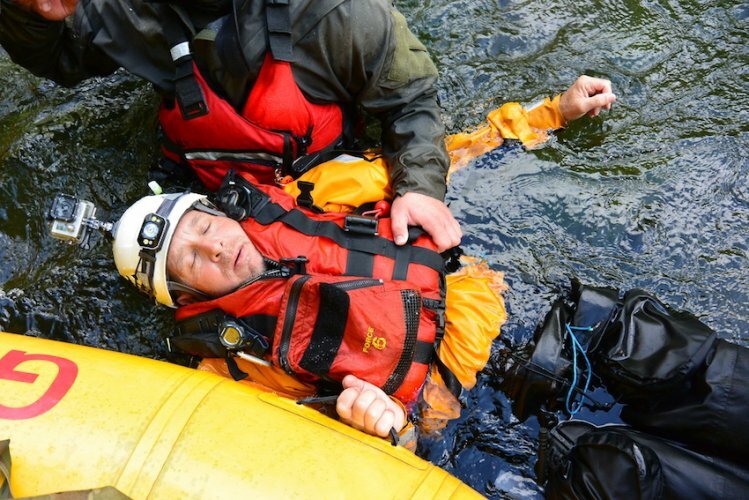 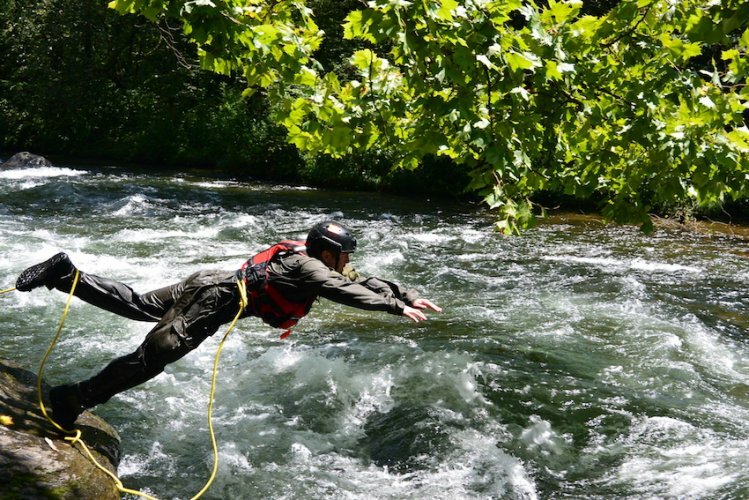 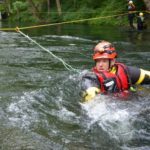 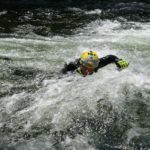 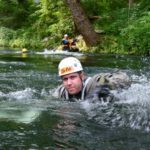 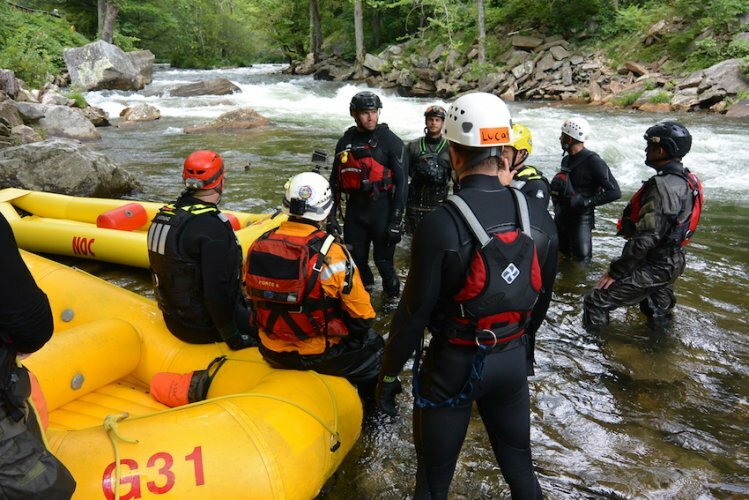 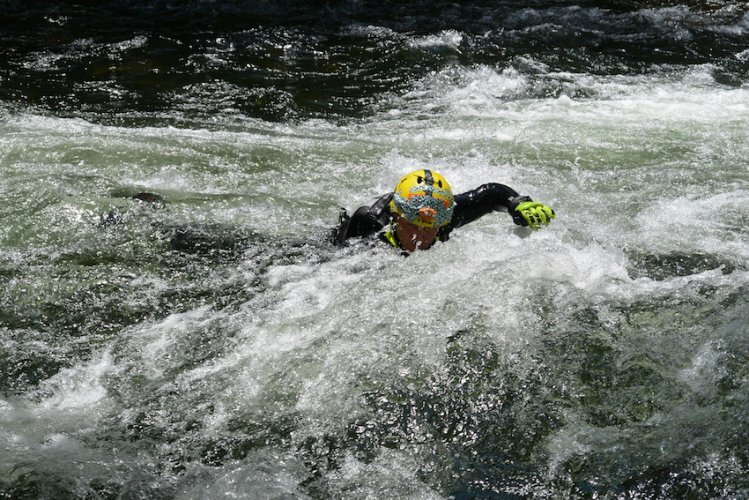 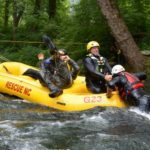 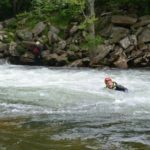 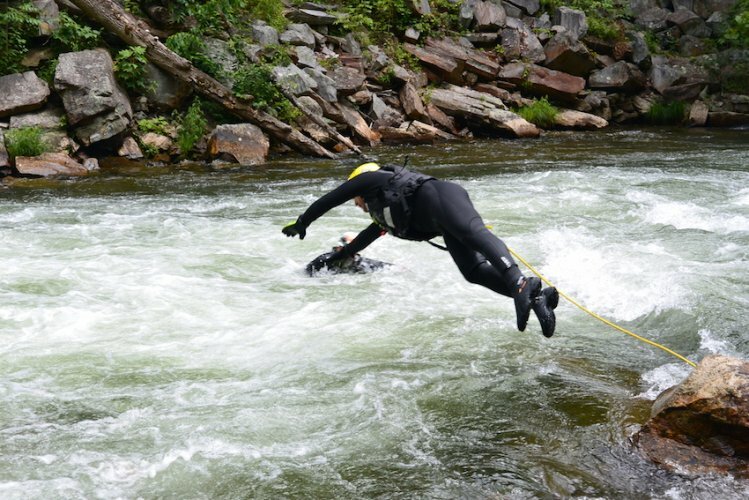 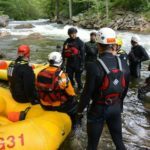 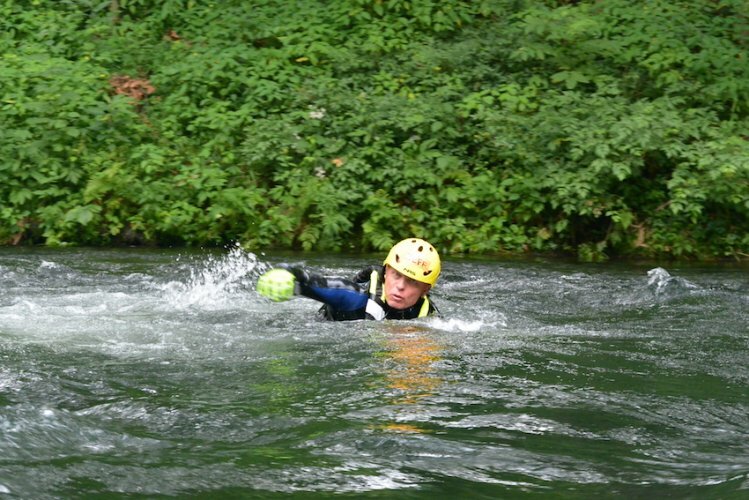 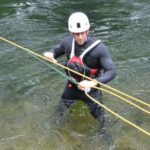 The RAT-SAR swiftwater team had the honor of working alongside some top notch Air Force ParaRescue (PJs) for 5 days of advanced swiftwater rescue training on the Nantahala River. 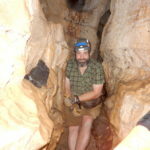 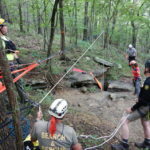 Special thanks to Rescue NC for instructing the course! 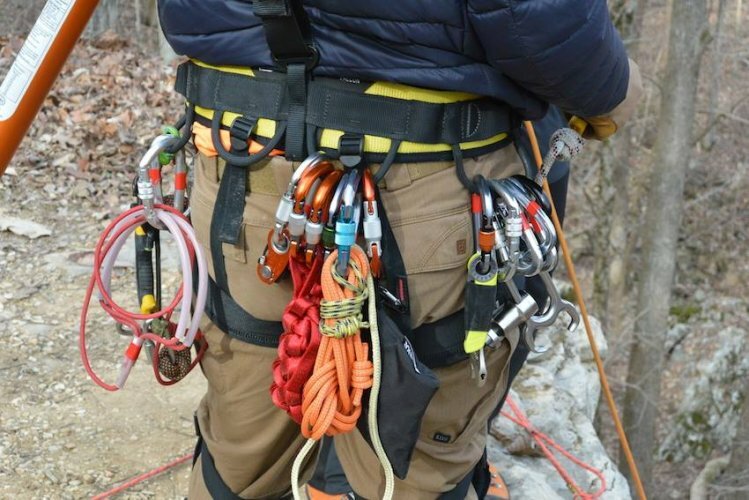 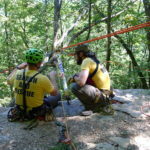 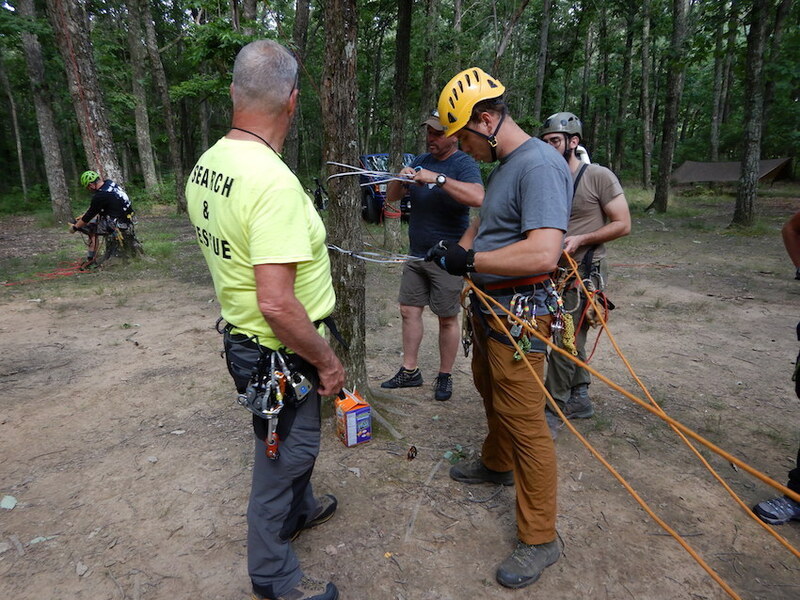 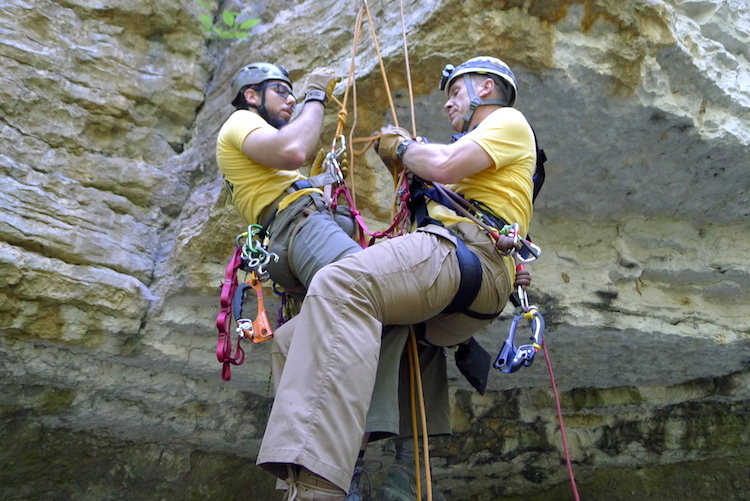 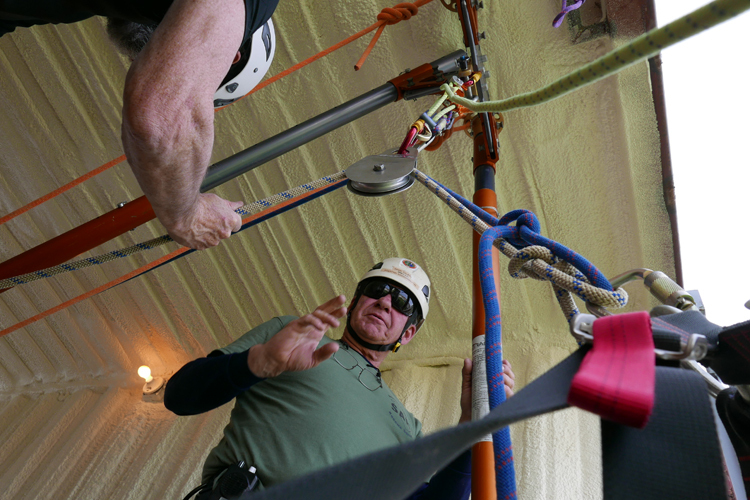 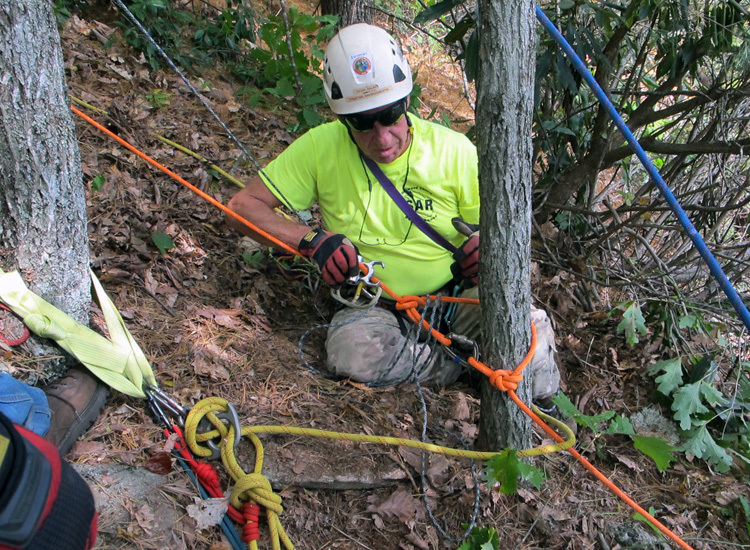 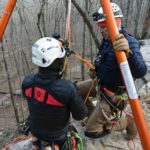 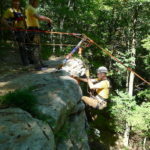 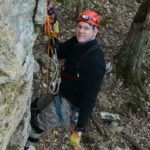 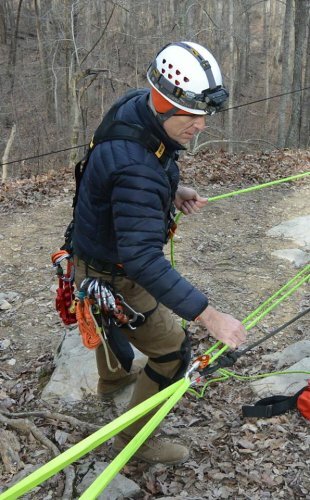 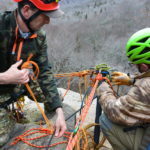 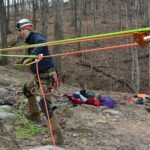 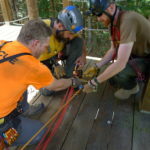 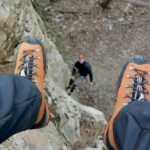 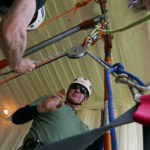 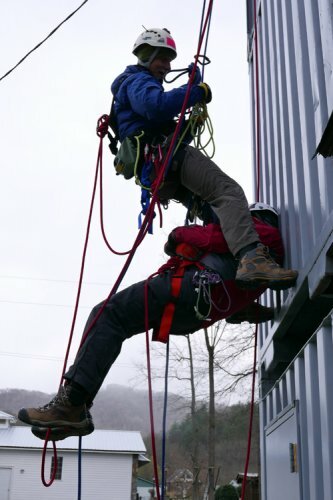 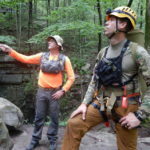 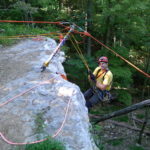 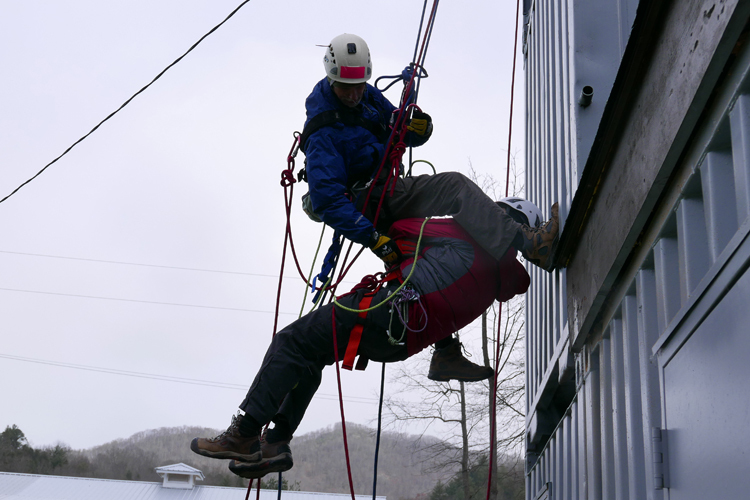 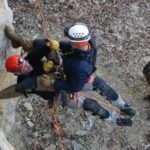 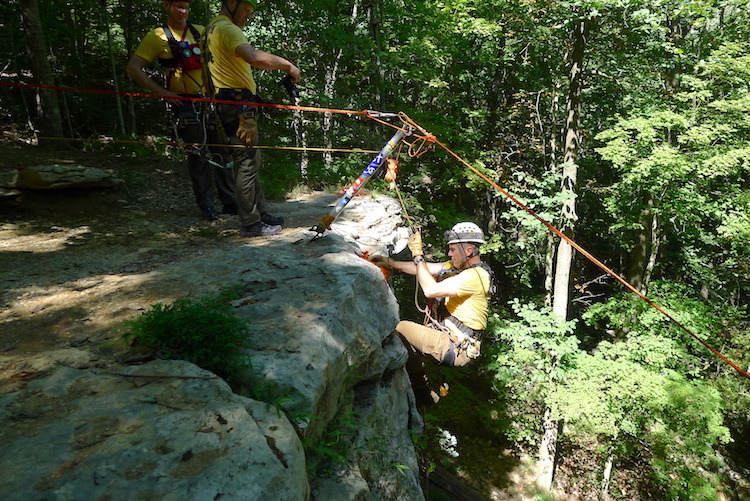 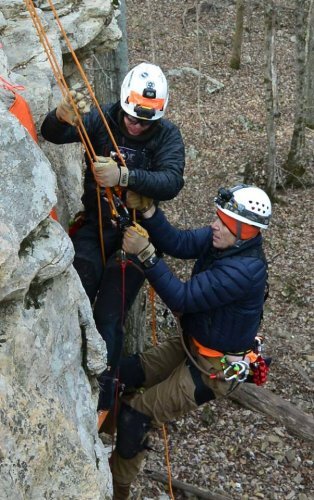 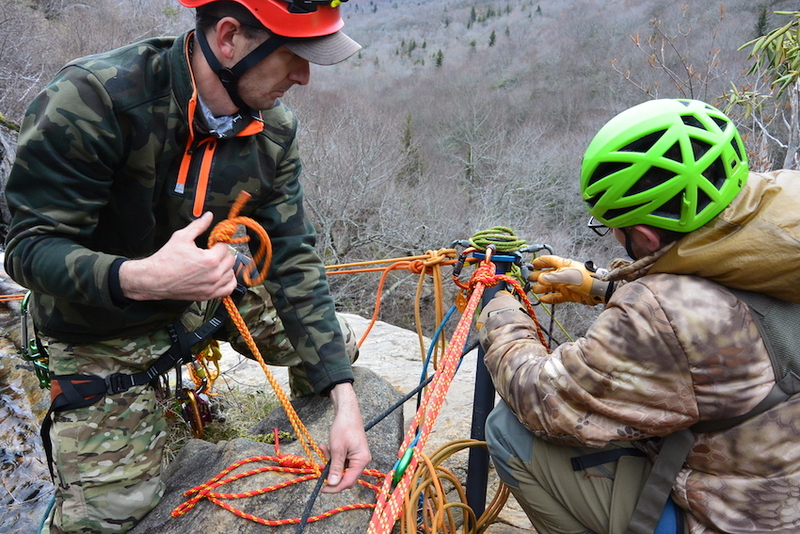 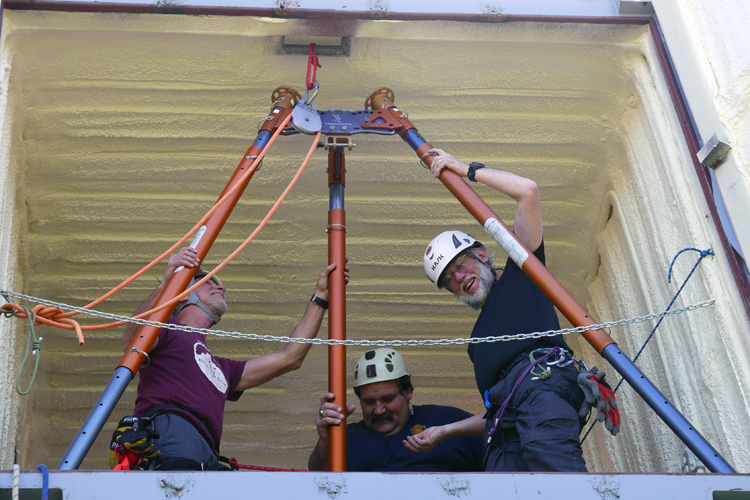 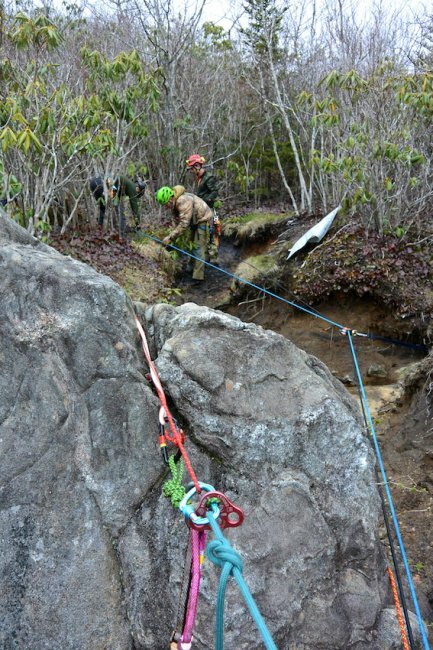 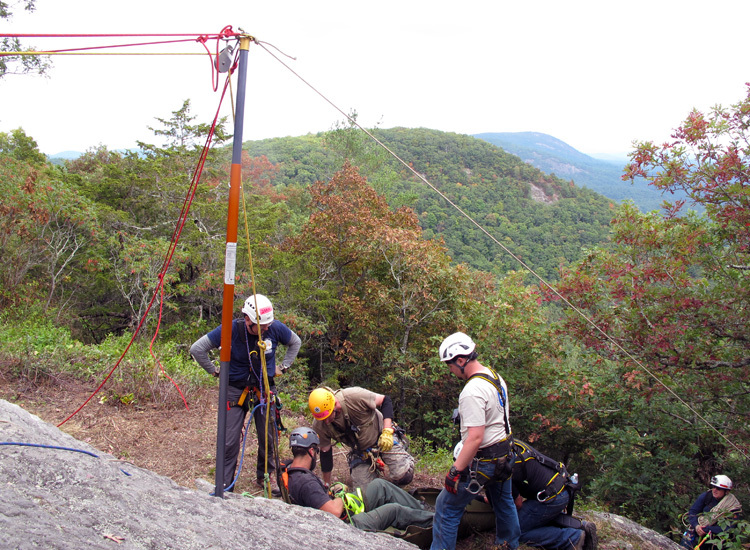 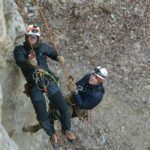 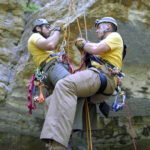 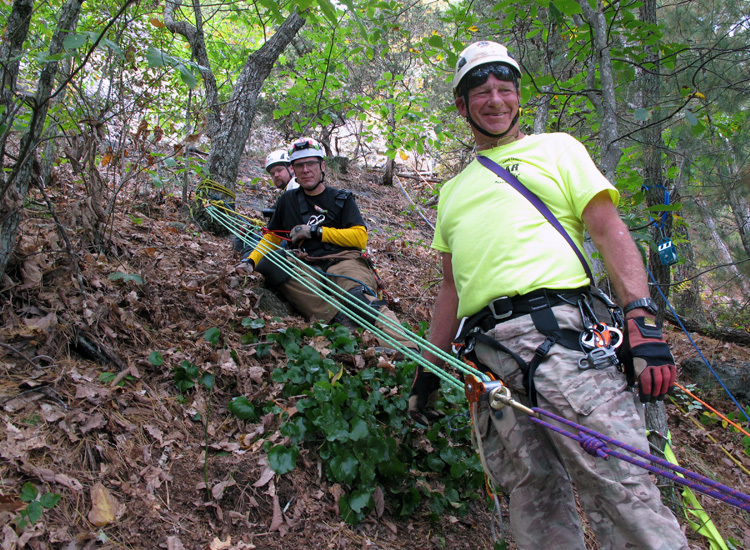 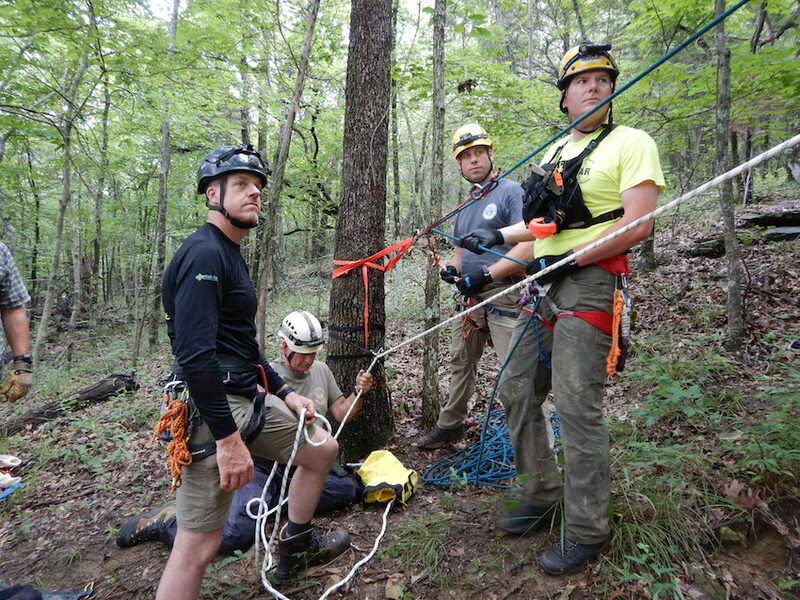 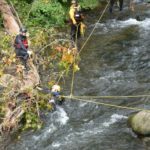 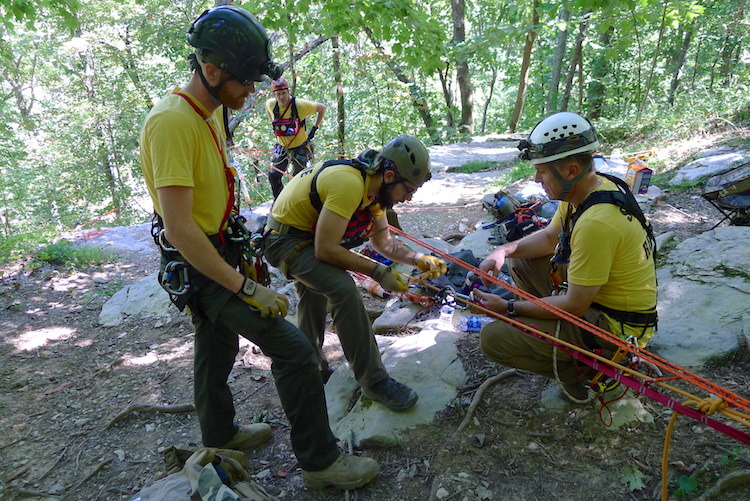 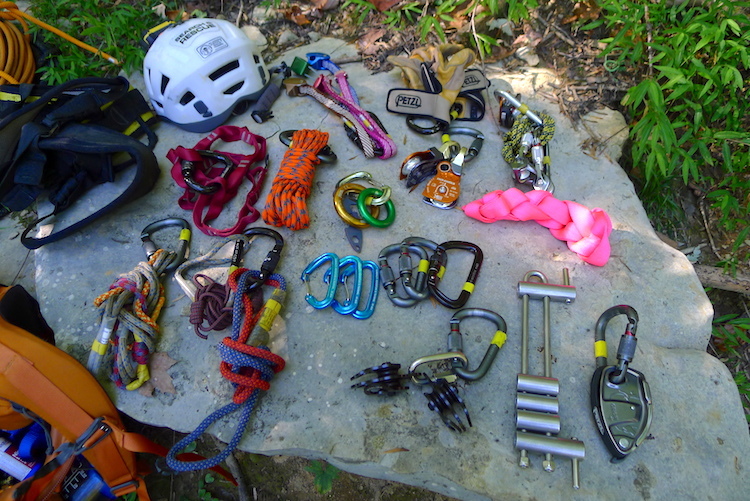 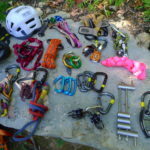 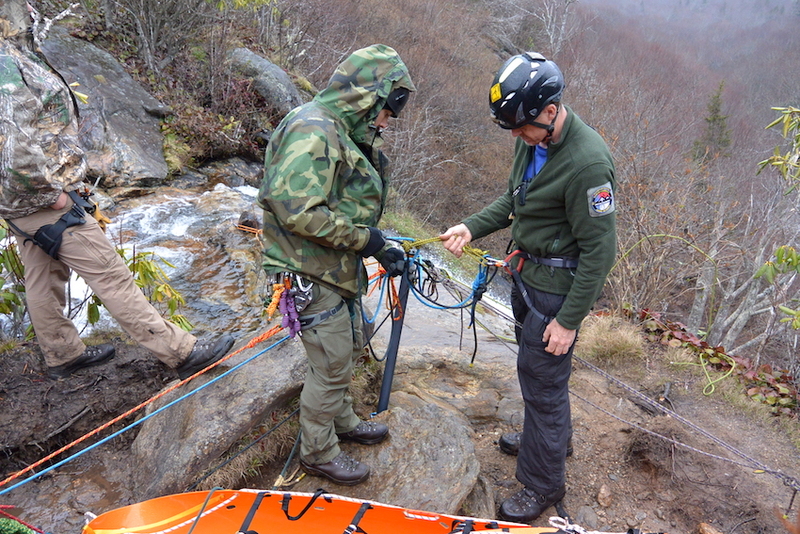 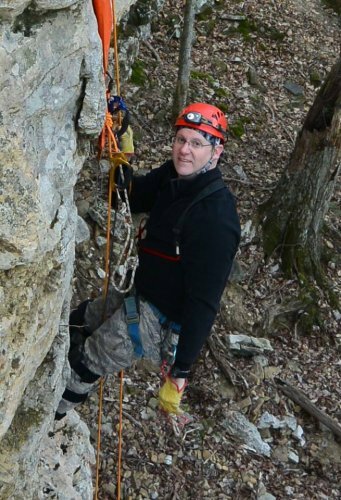 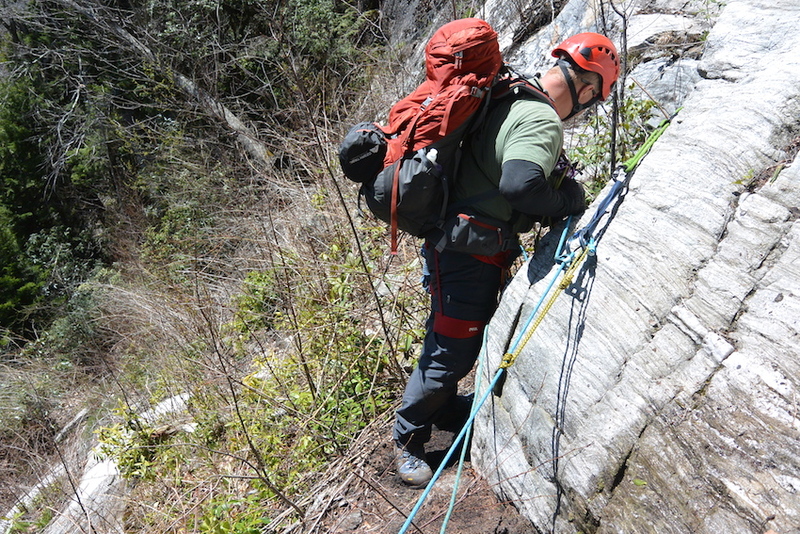 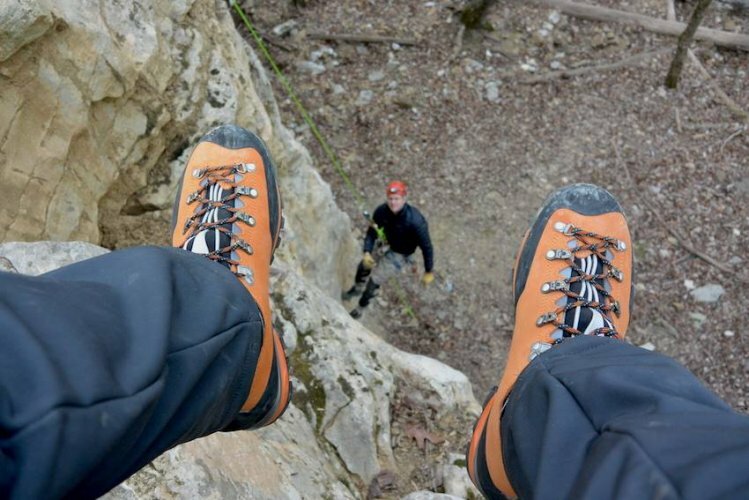 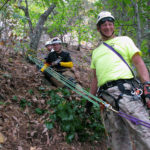 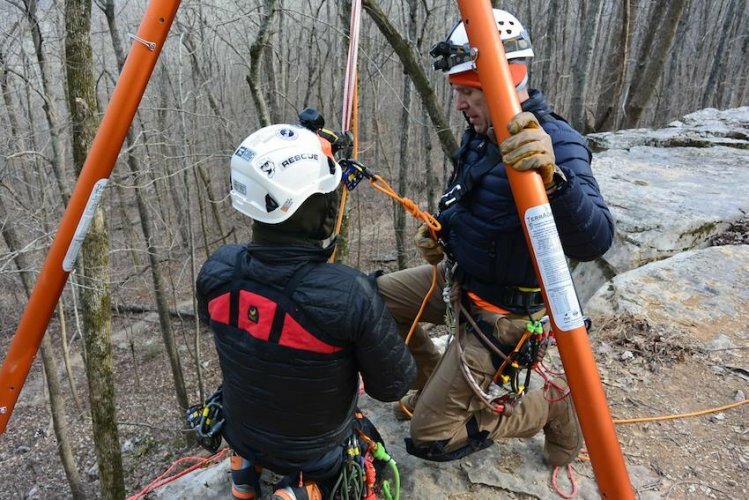 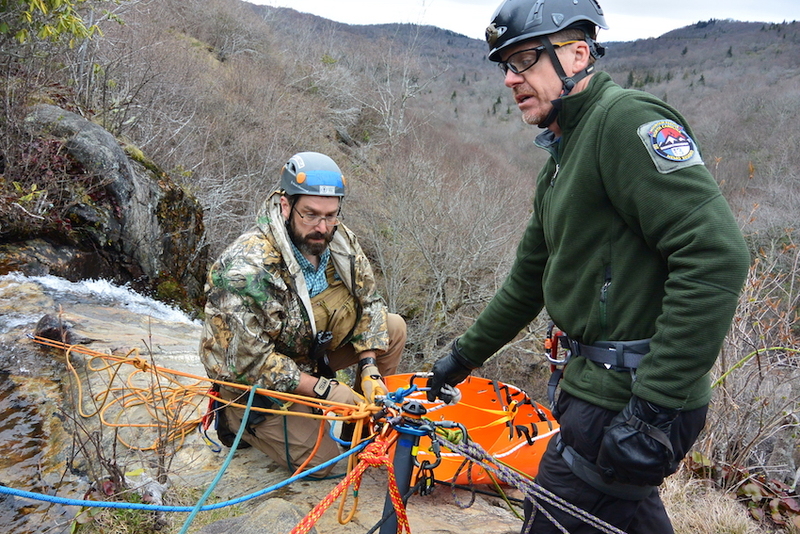 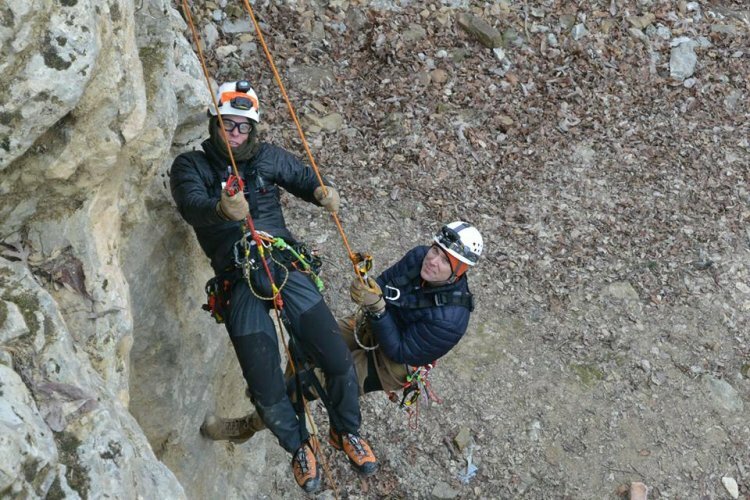 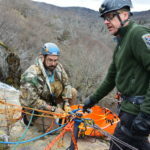 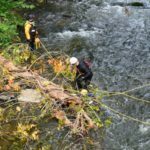 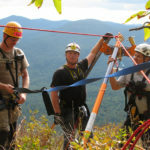 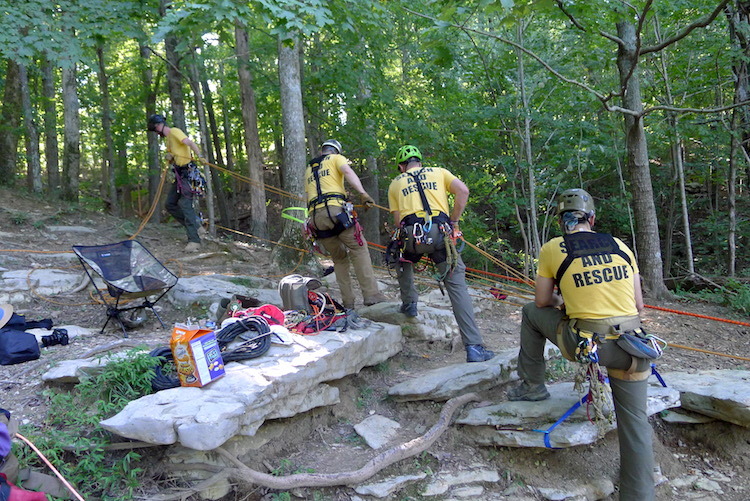 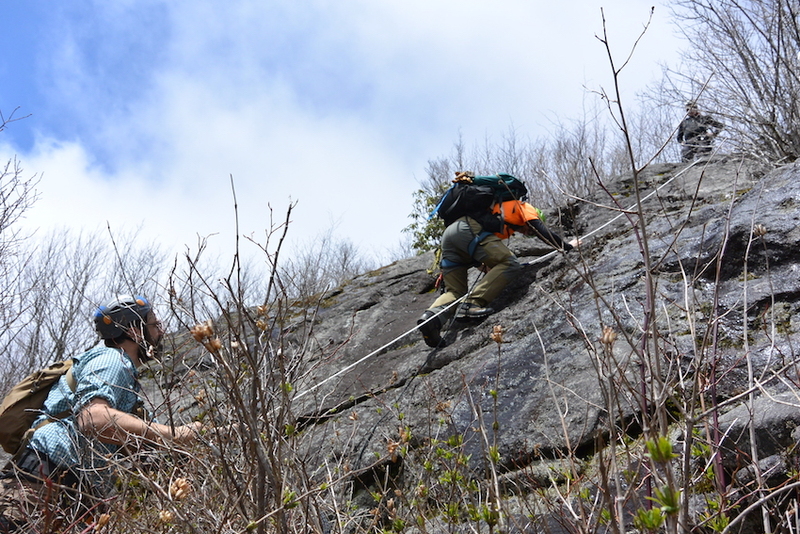 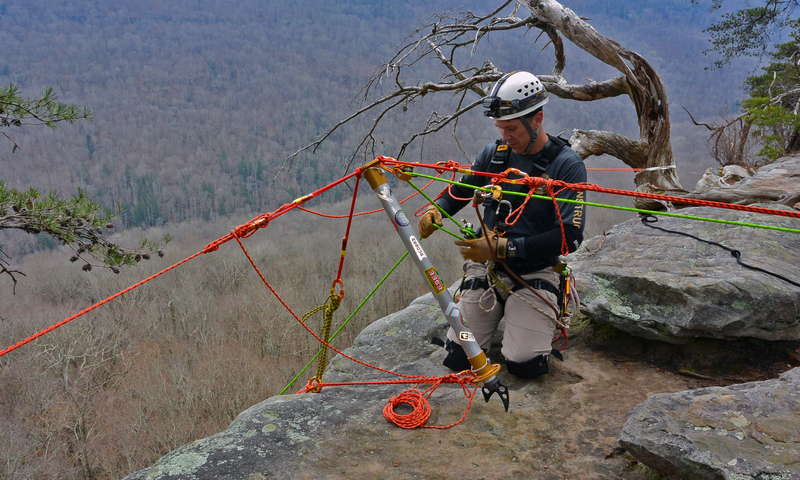 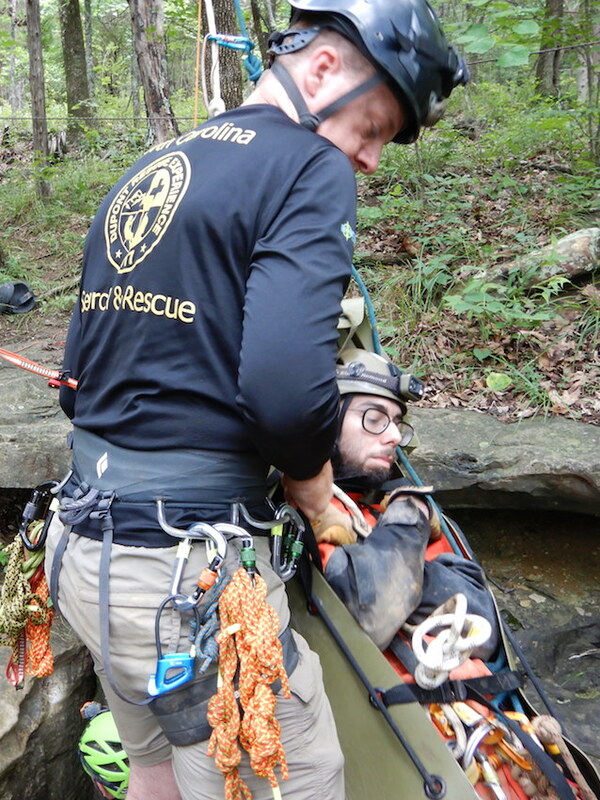 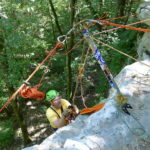 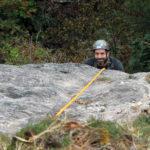 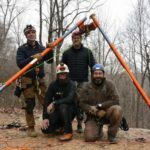 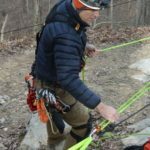 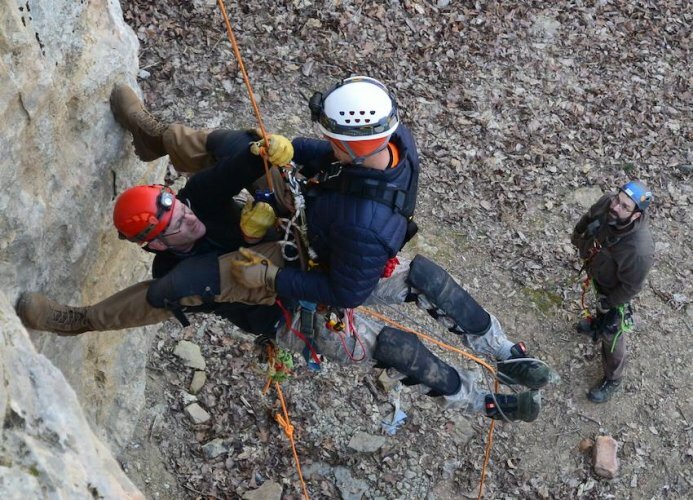 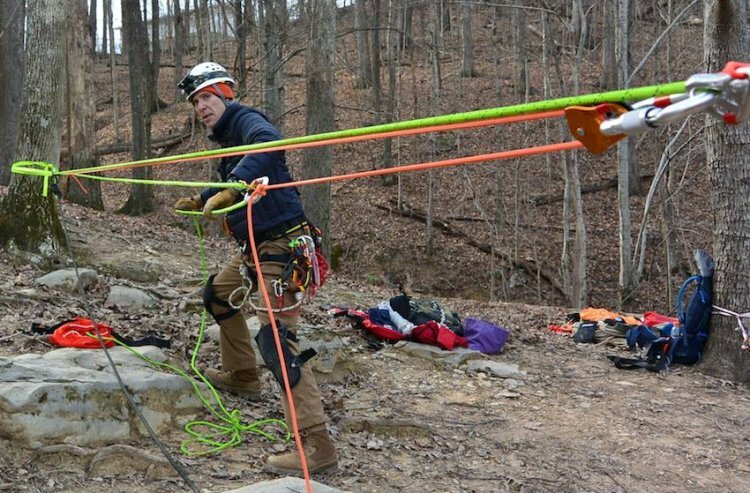 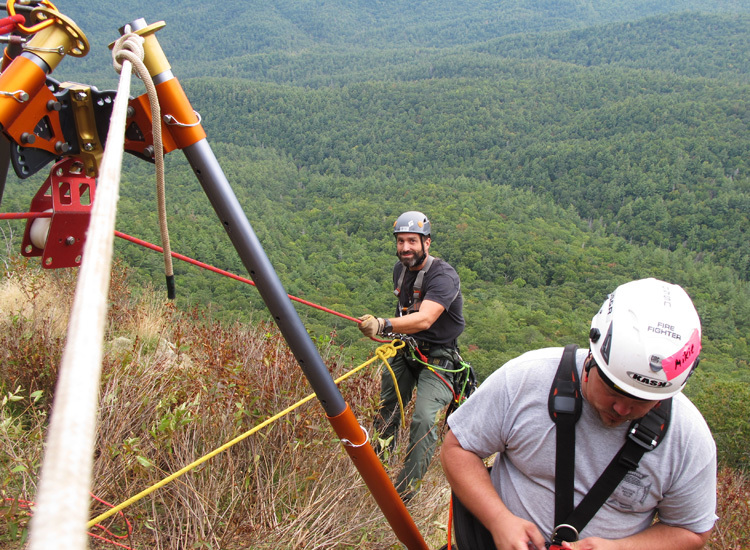 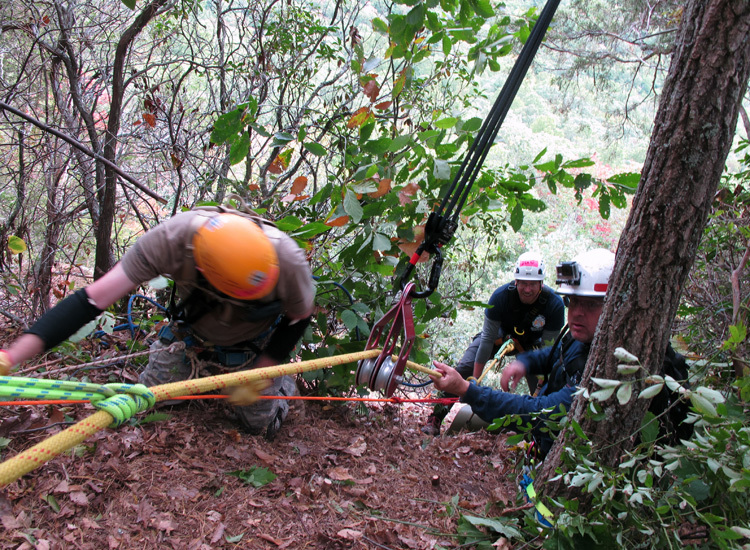 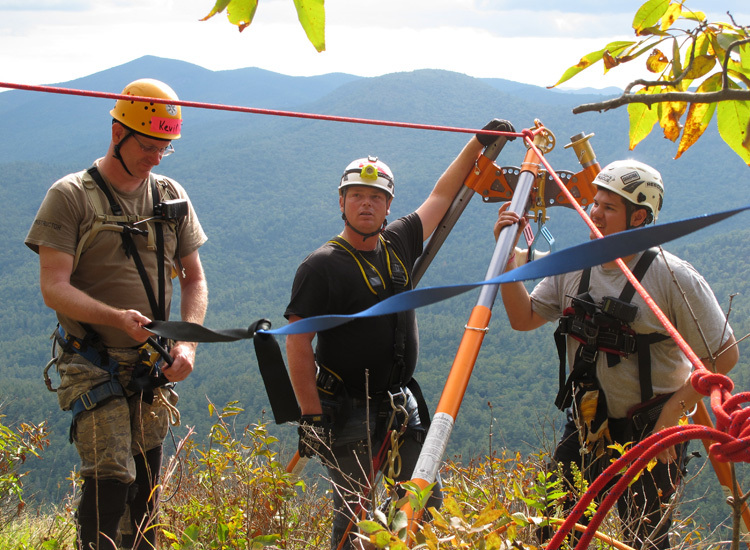 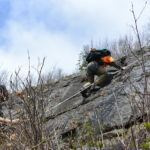 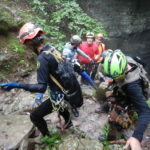 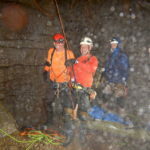 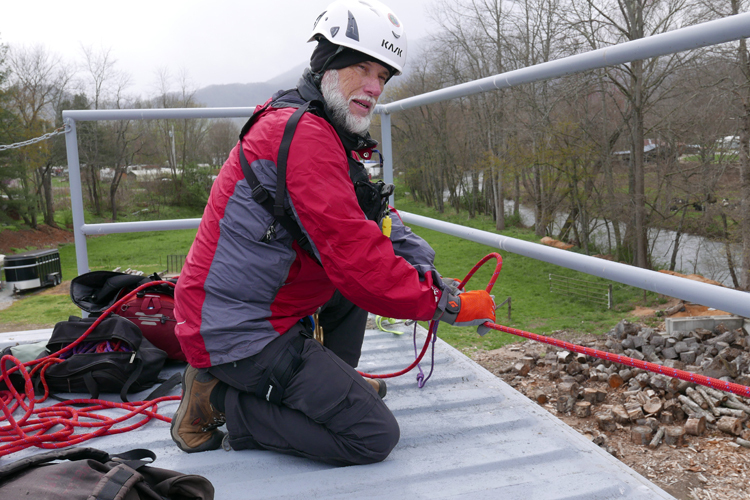 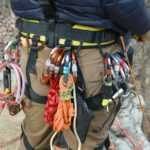 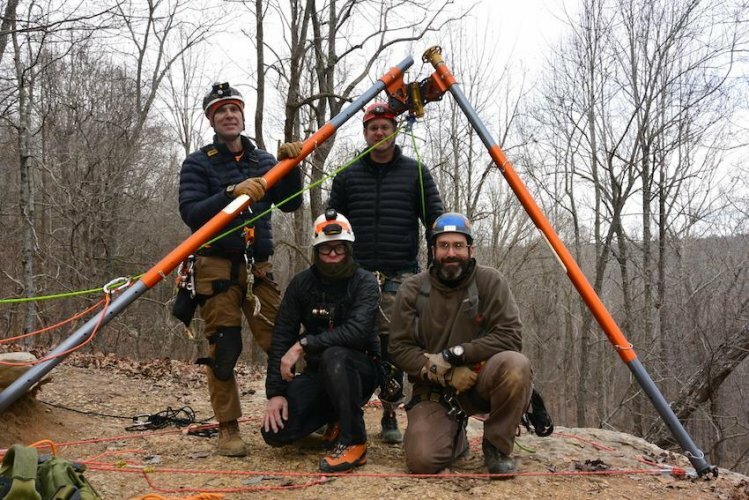 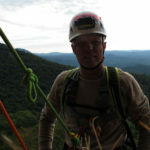 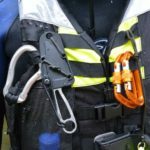 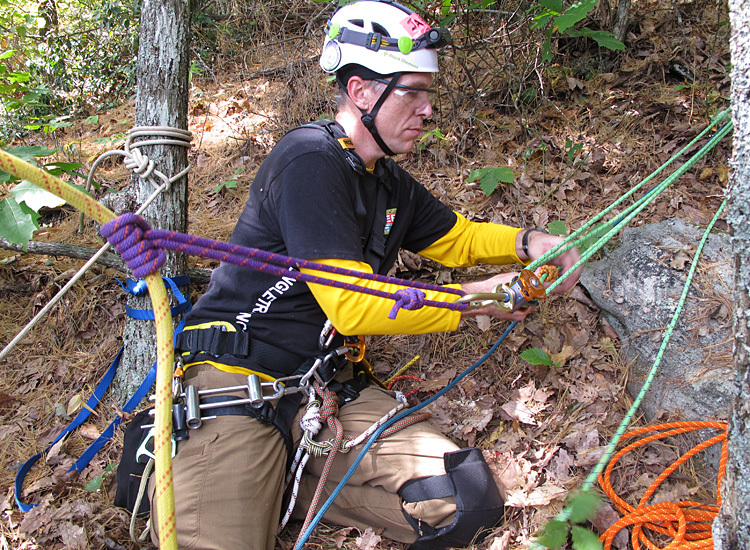 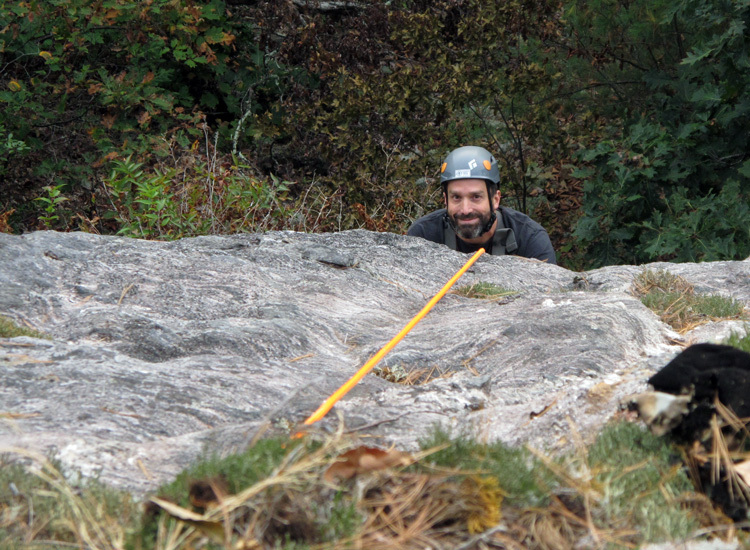 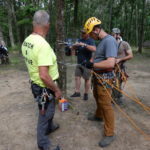 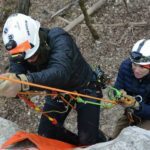 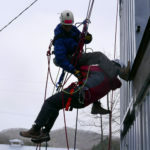 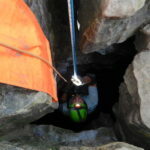 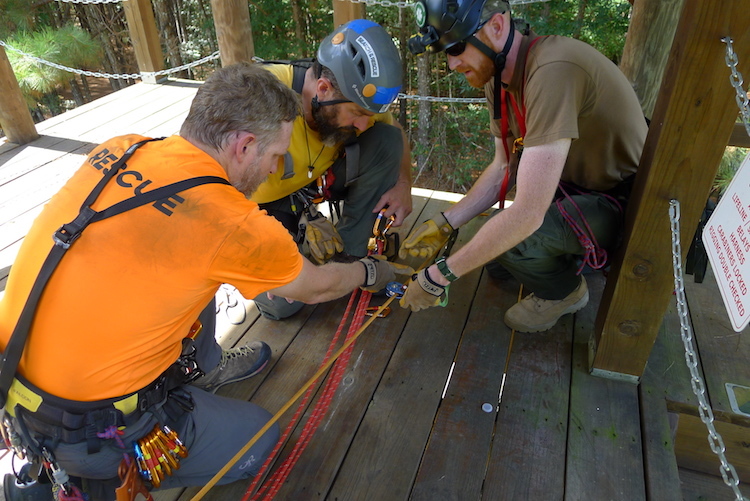 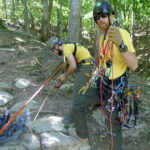 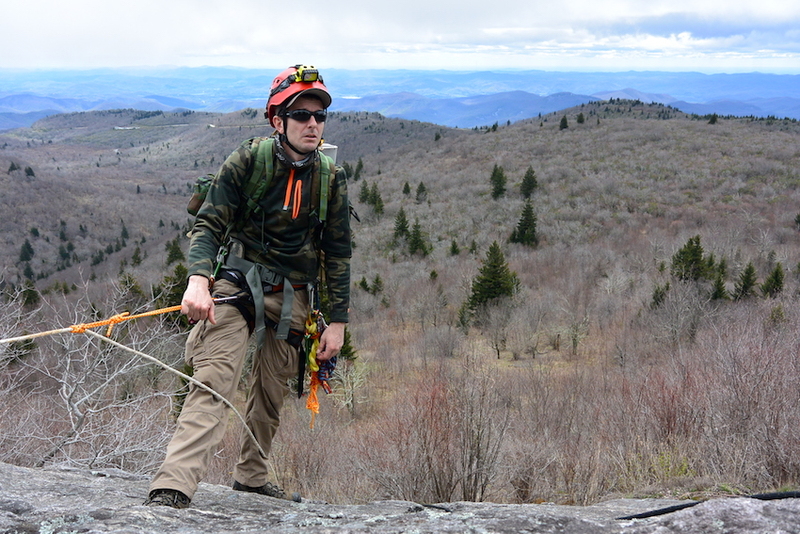 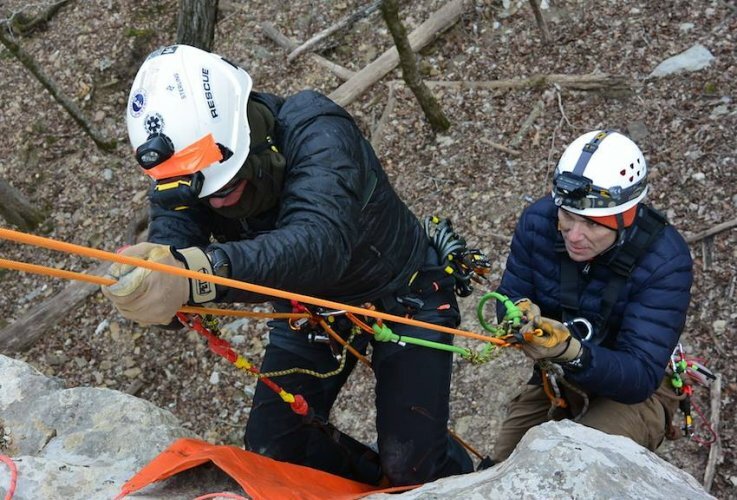 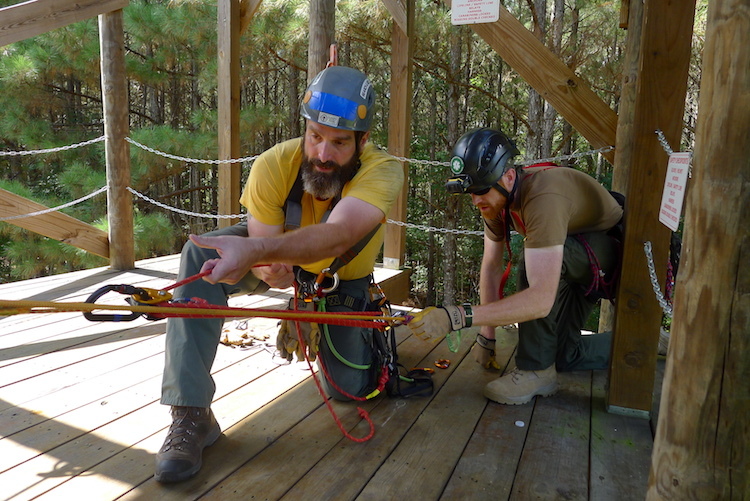 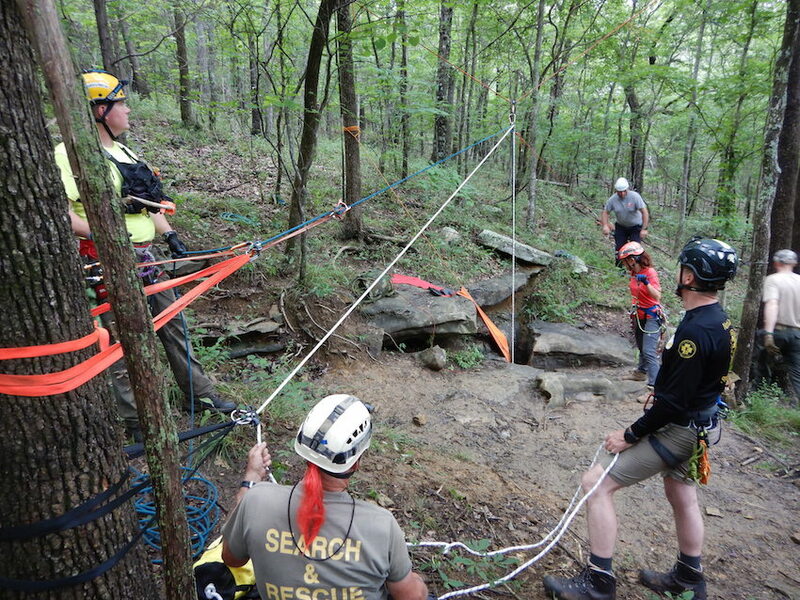 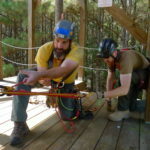 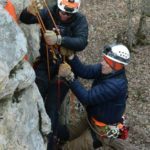 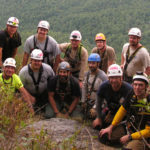 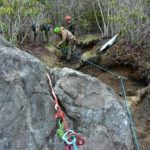 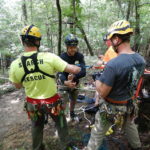 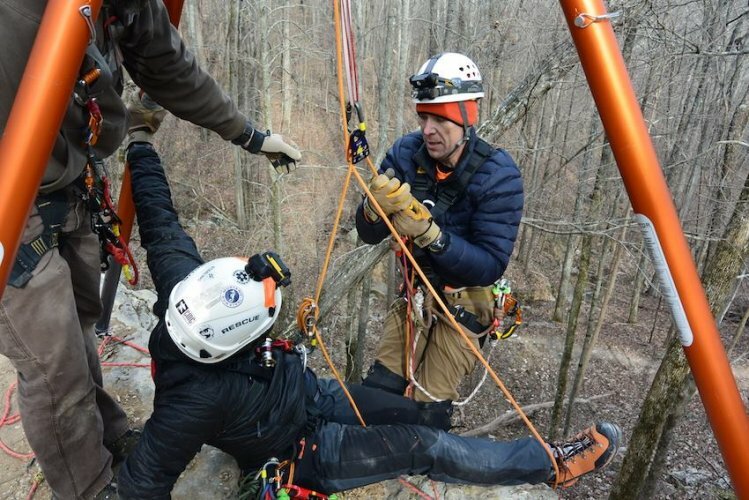 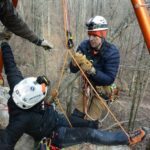 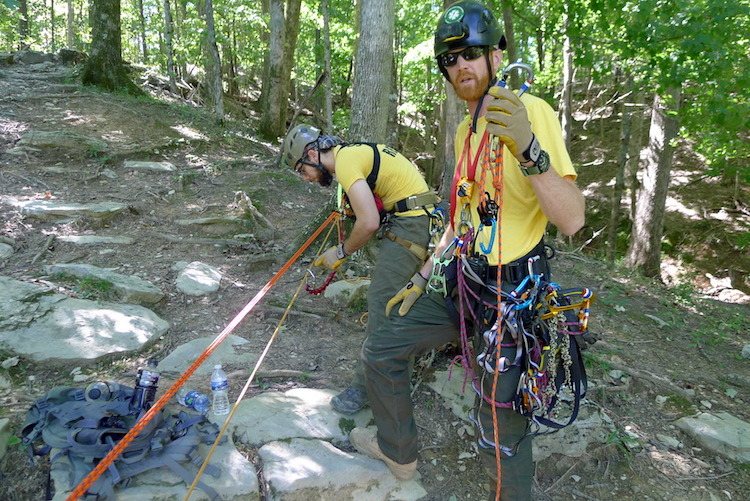 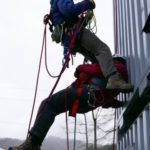 RAT-SAR team members along with Rescue NC spent 4 days instructing a rope rescue certification course to SAR team members in the mountains of western North Carolina. 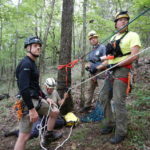 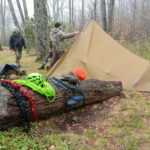 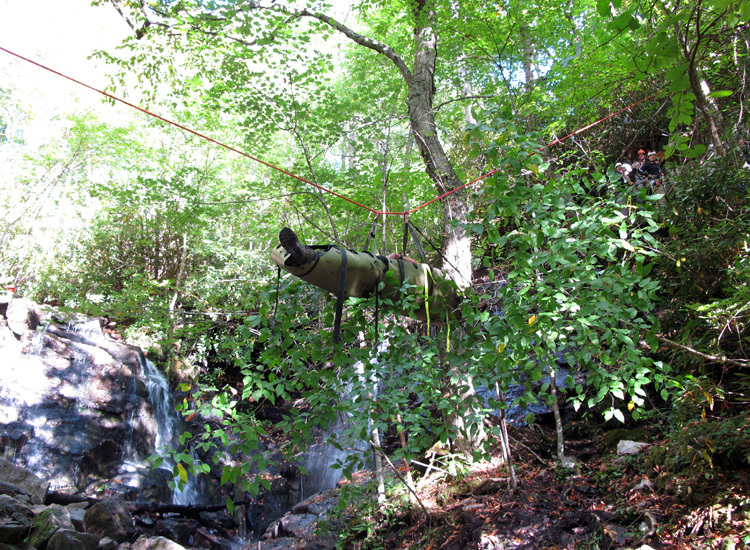 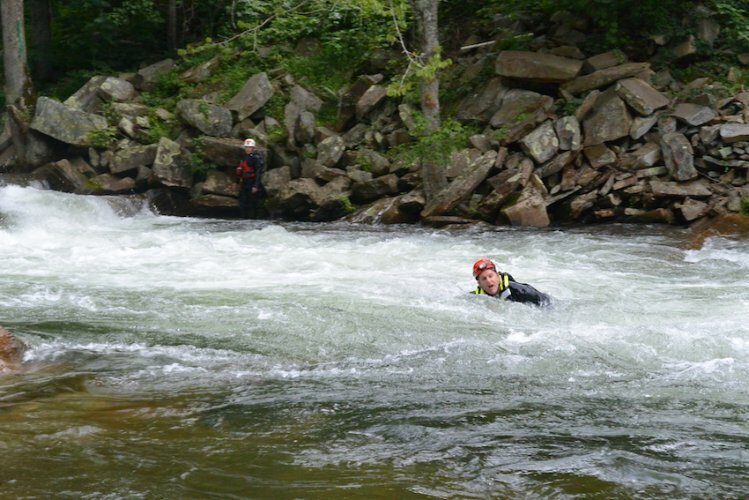 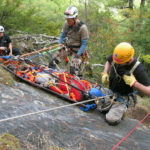 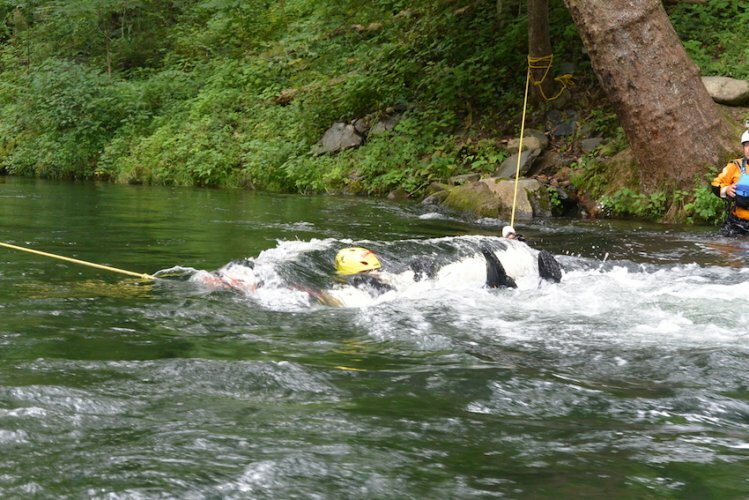 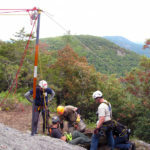 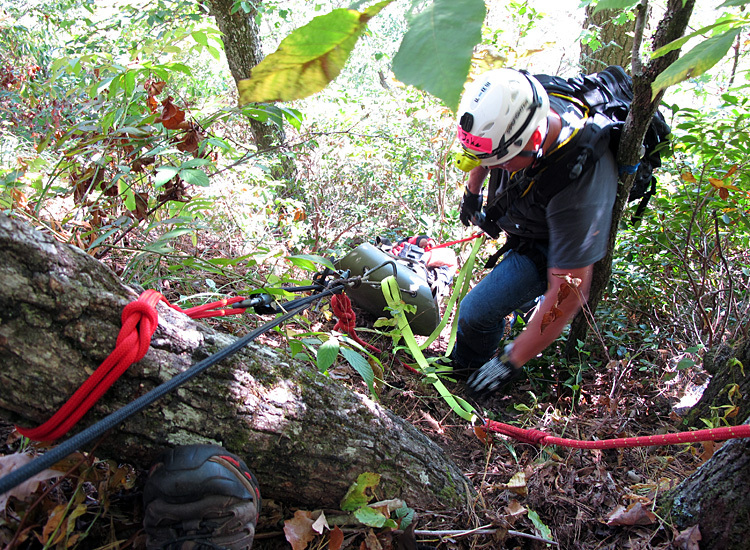 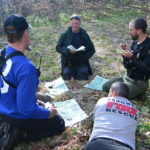 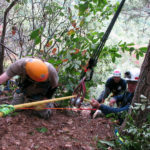 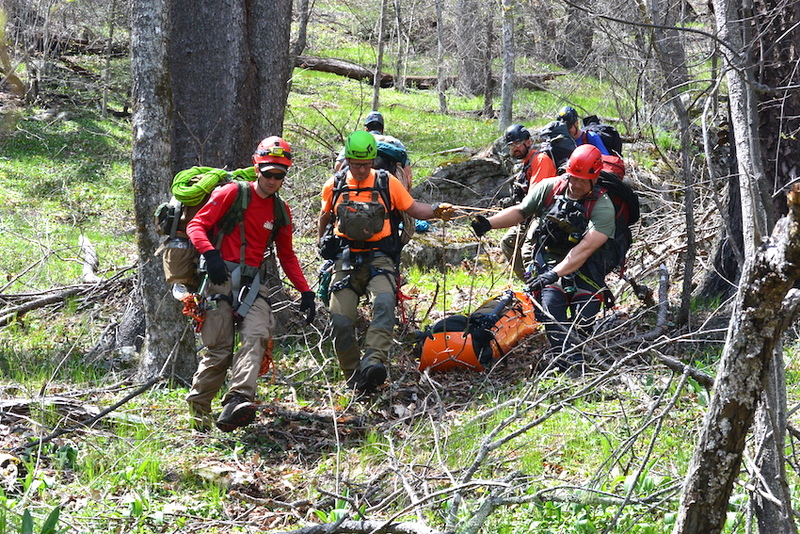 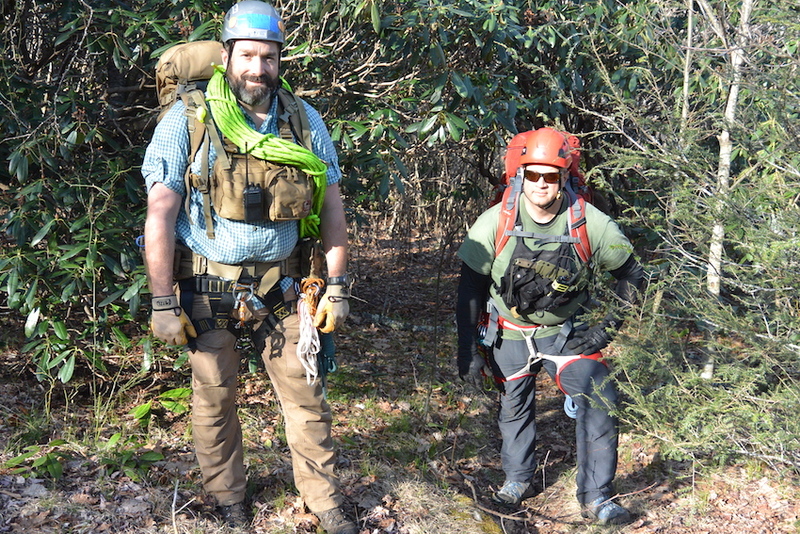 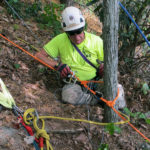 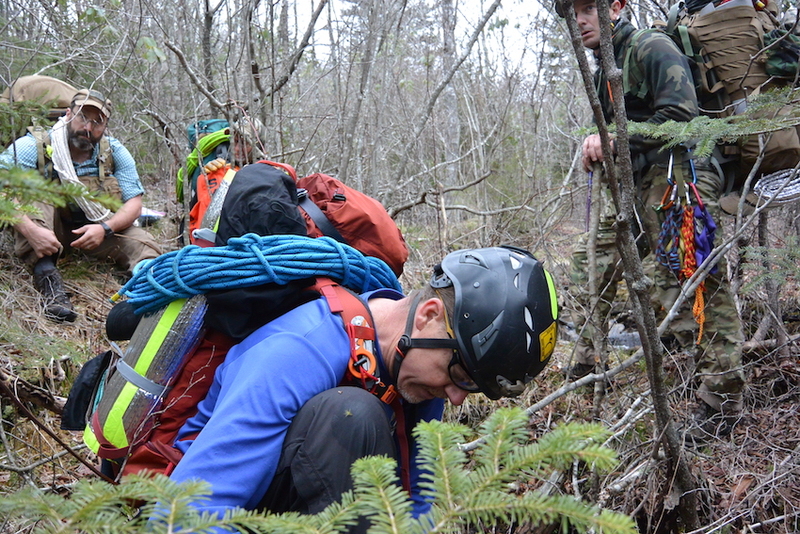 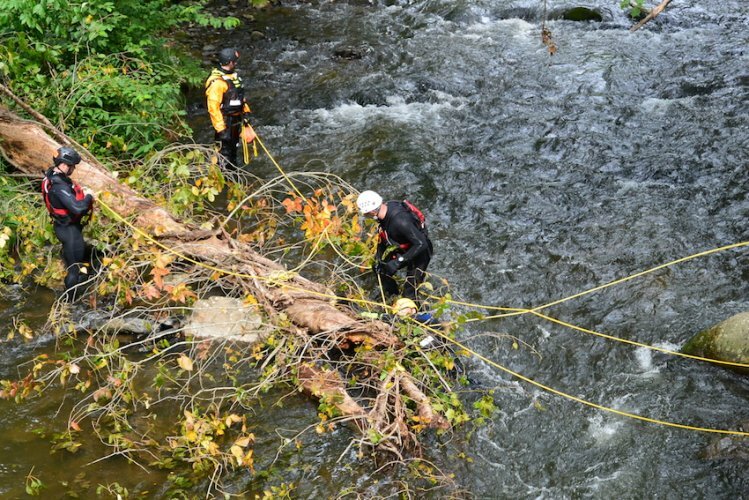 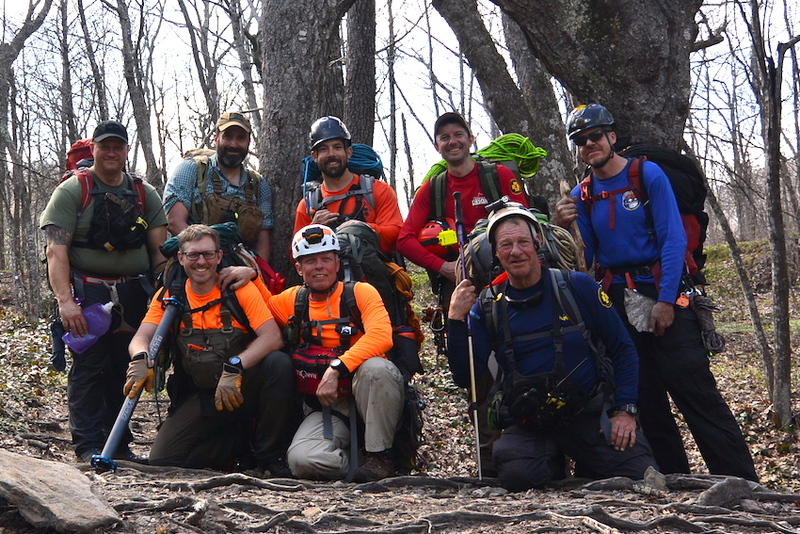 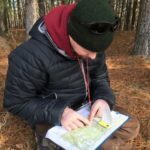 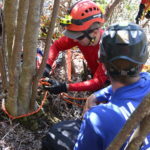 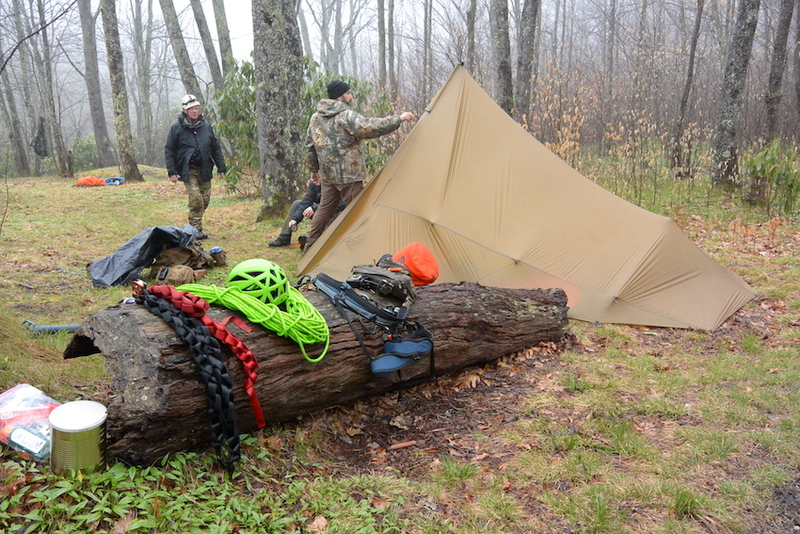 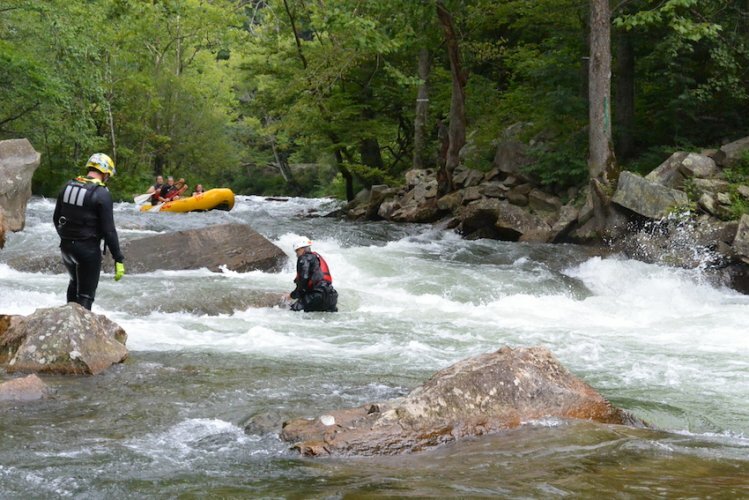 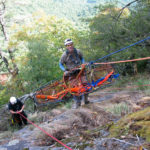 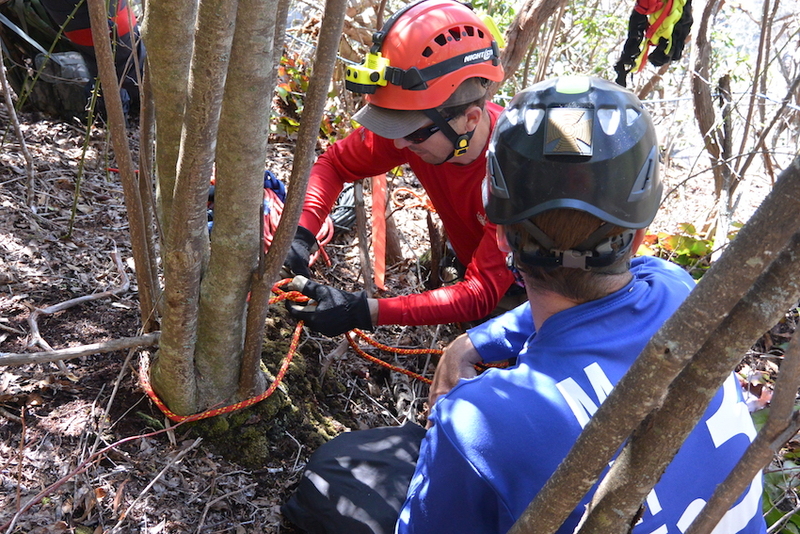 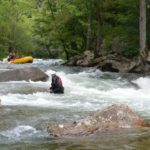 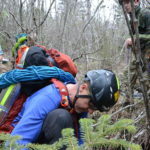 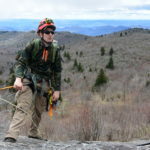 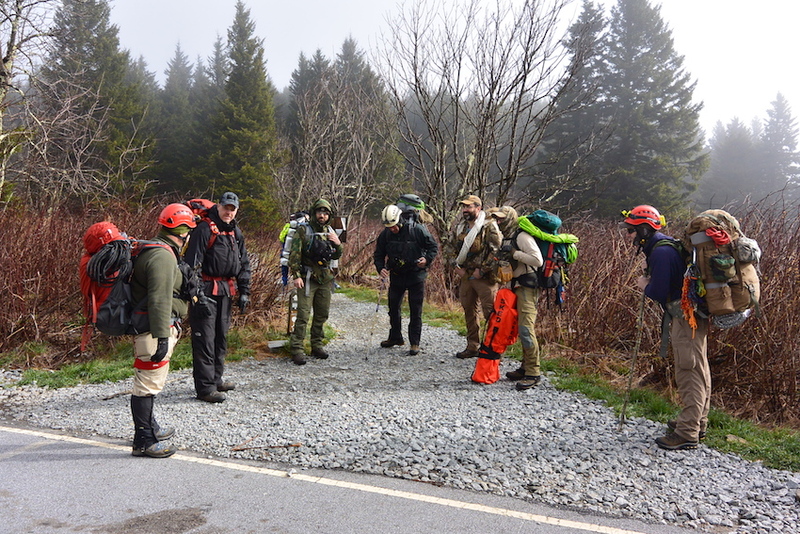 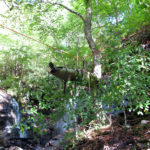 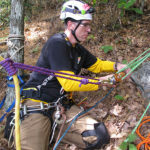 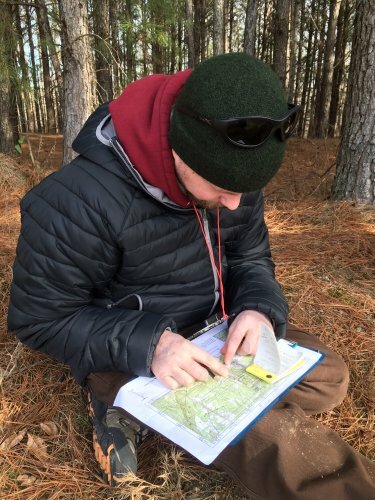 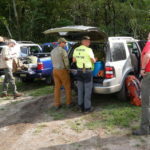 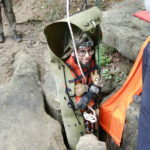 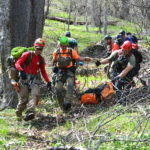 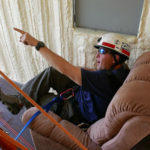 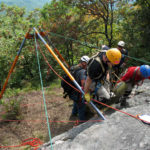 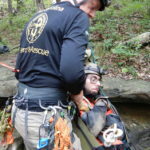 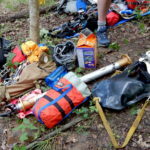 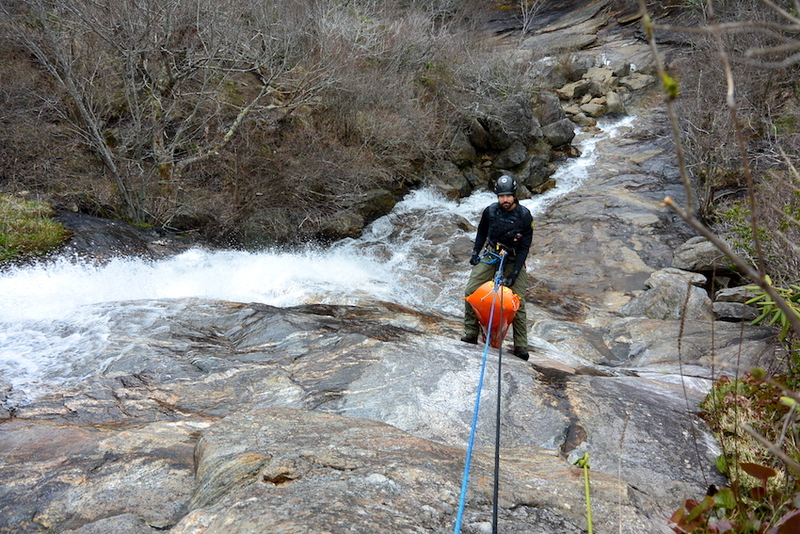 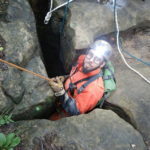 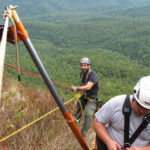 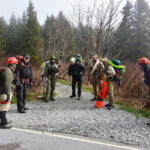 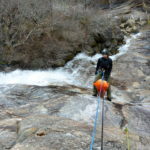 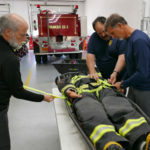 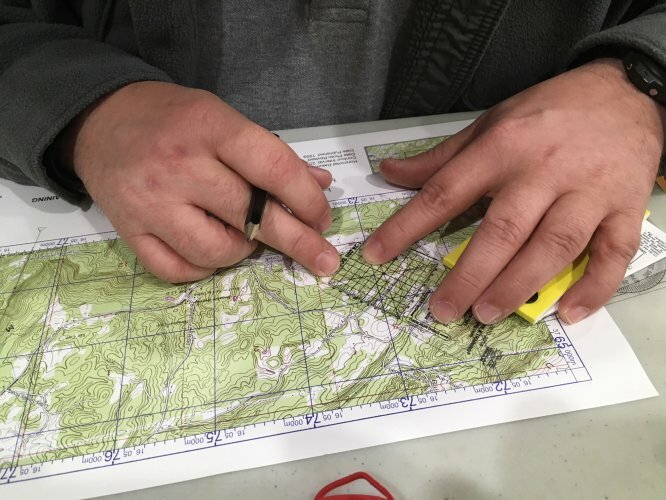 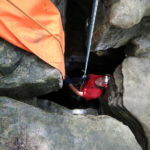 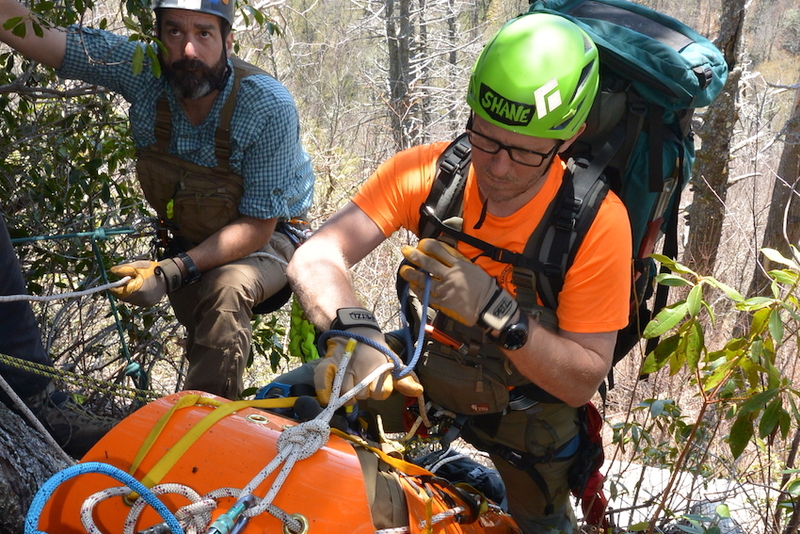 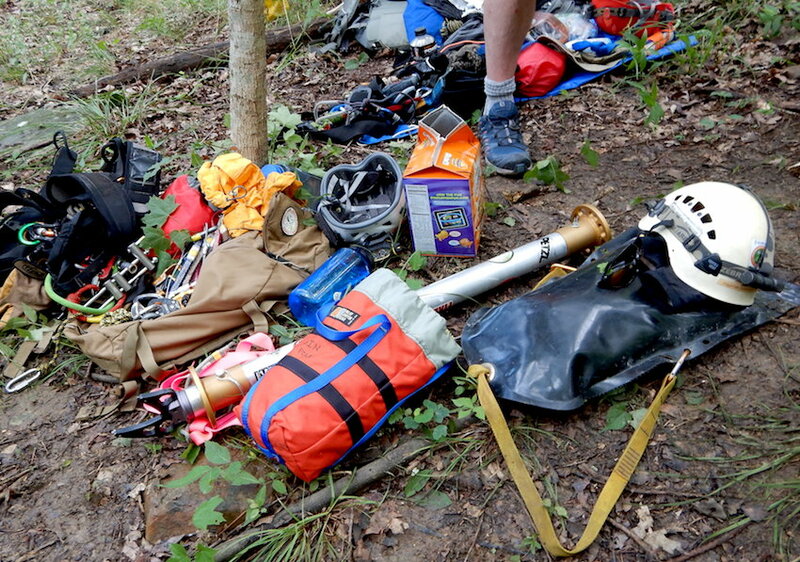 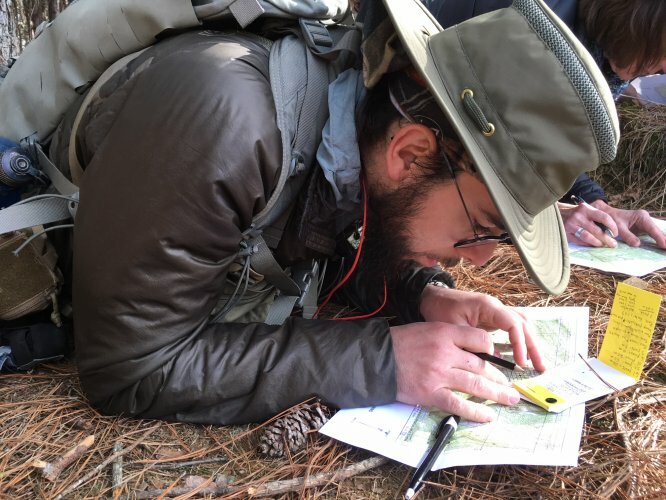 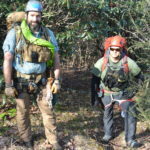 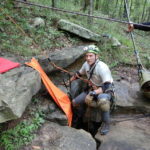 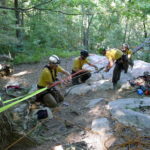 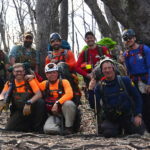 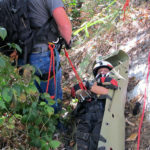 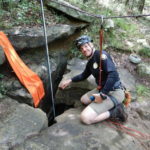 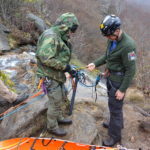 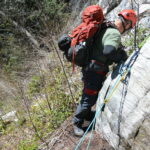 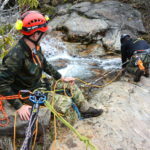 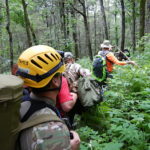 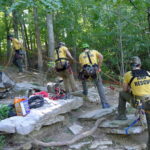 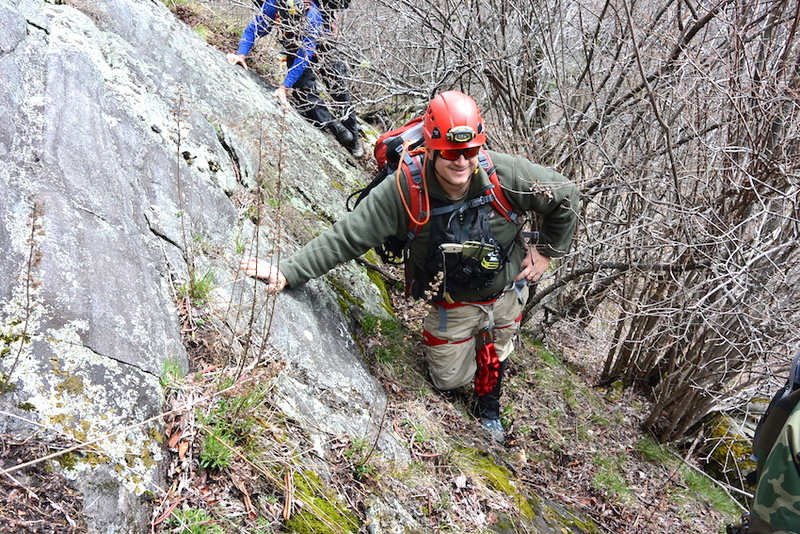 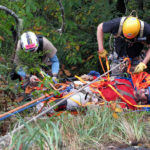 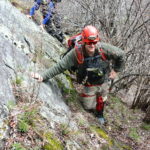 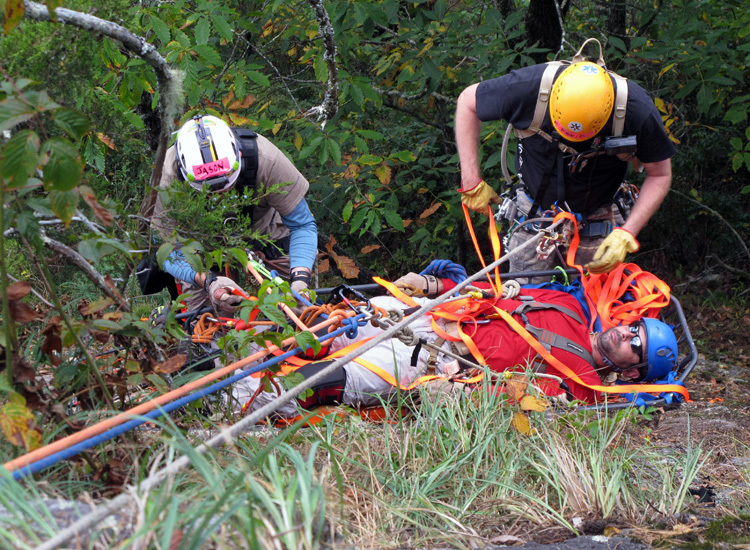 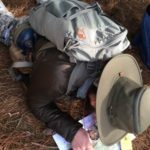 This course was part of the Haywood Colllege Wilderness Weekend program which trains / certifies North Carolina first responders and wilderness rescue professionals in various techniques for rescuing individuals in remote, mountainous terrain. 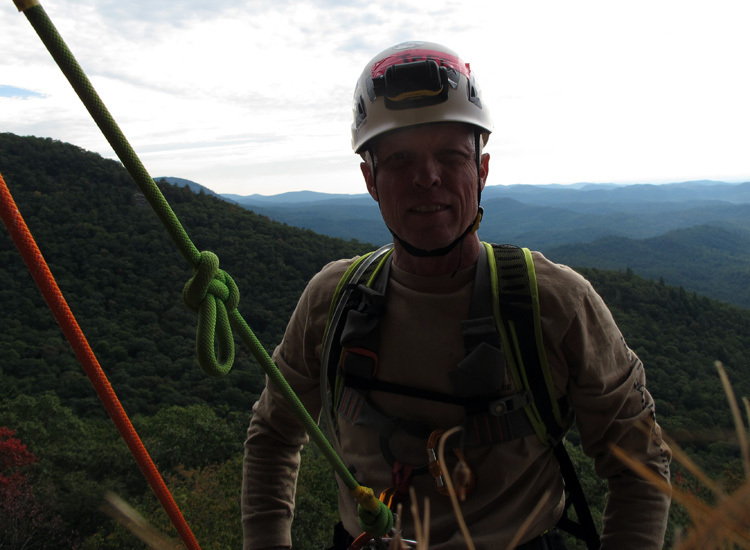 The SAR team responds to numerous calls each year in Western North Carolina. 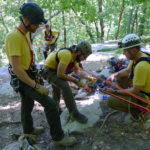 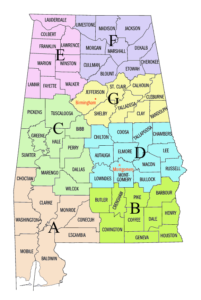 We are proud to be part of their training solution.